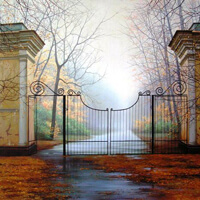 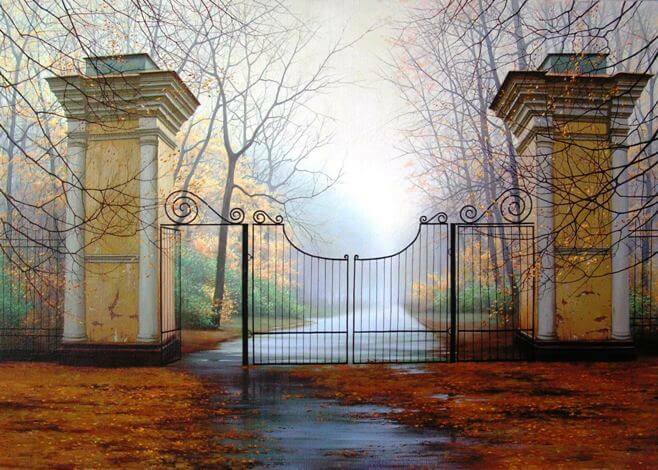 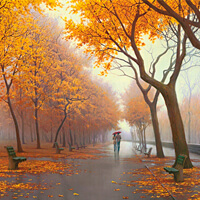 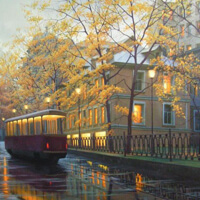 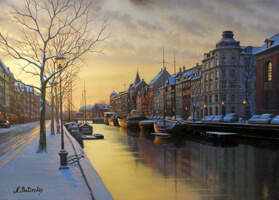 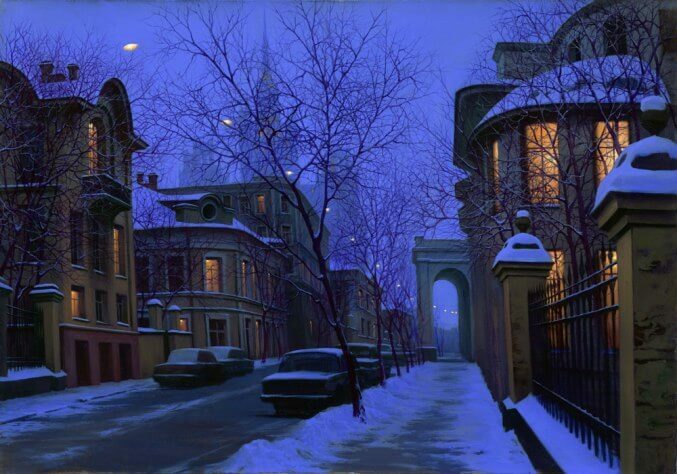 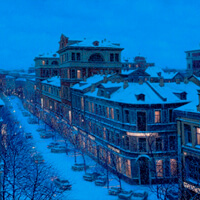 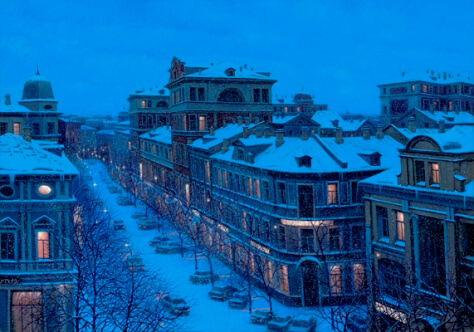 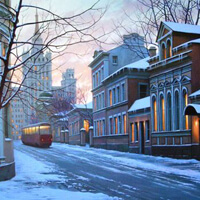 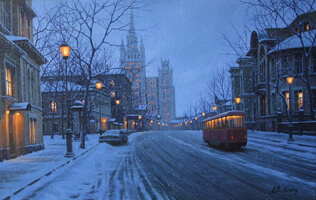 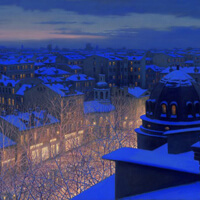 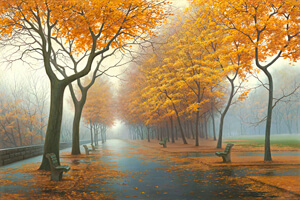 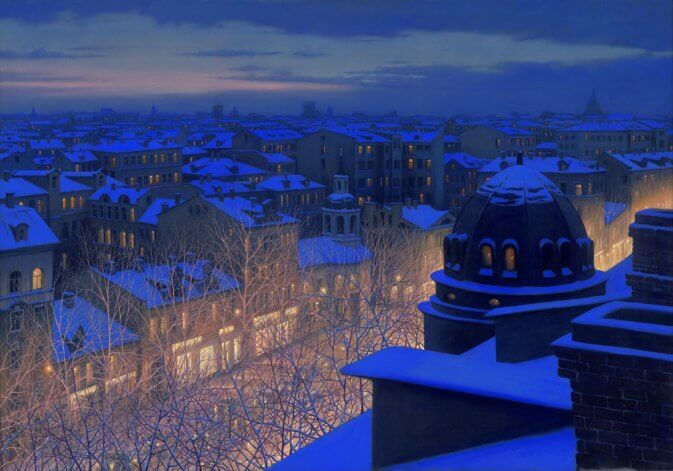 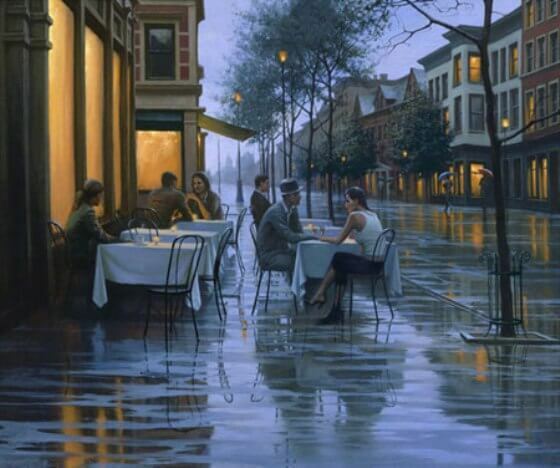 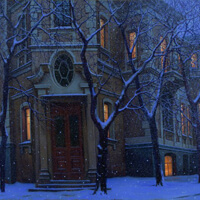 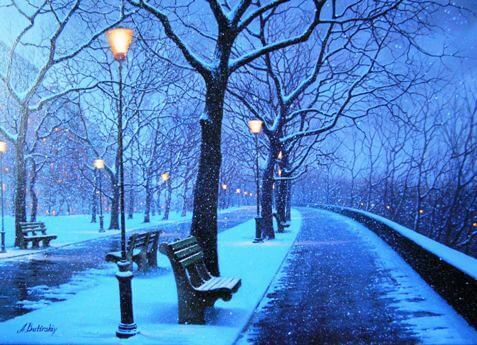 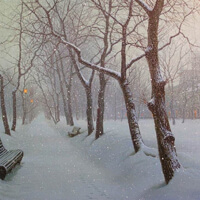 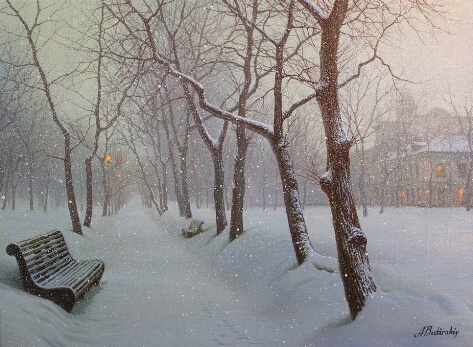 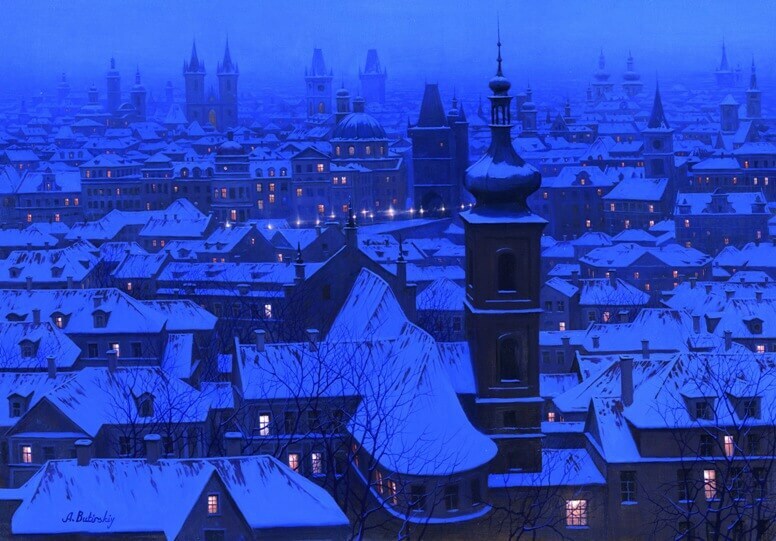 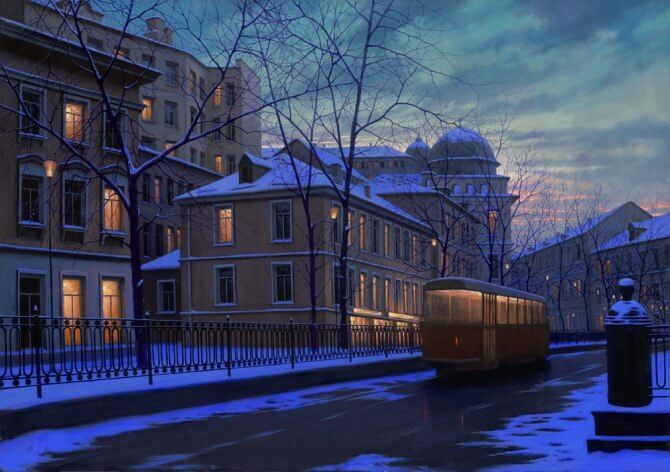 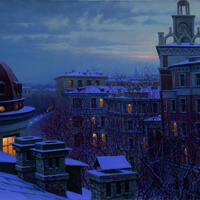 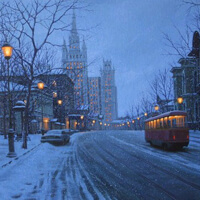 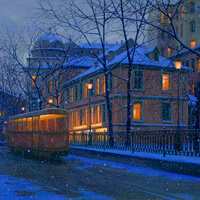 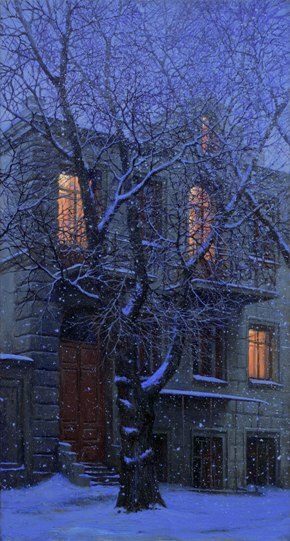 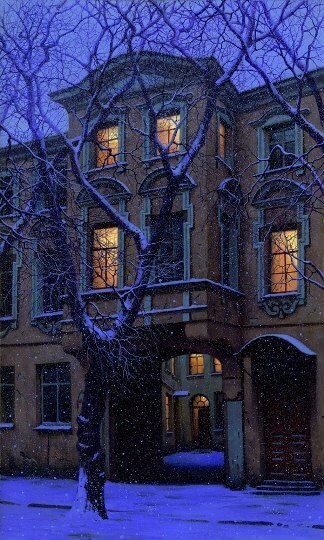 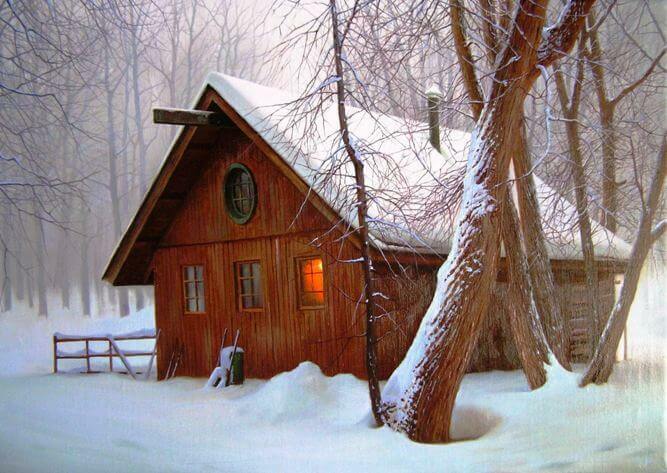 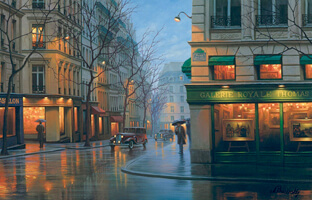 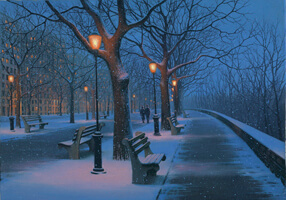 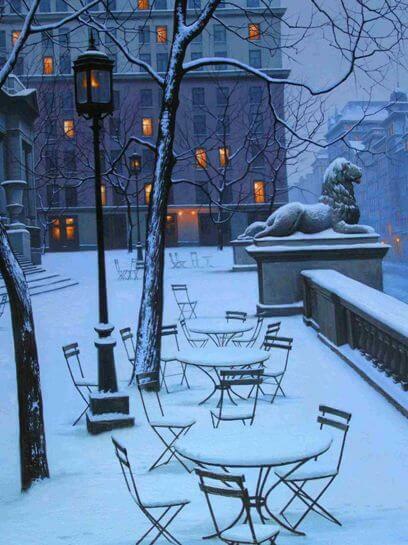 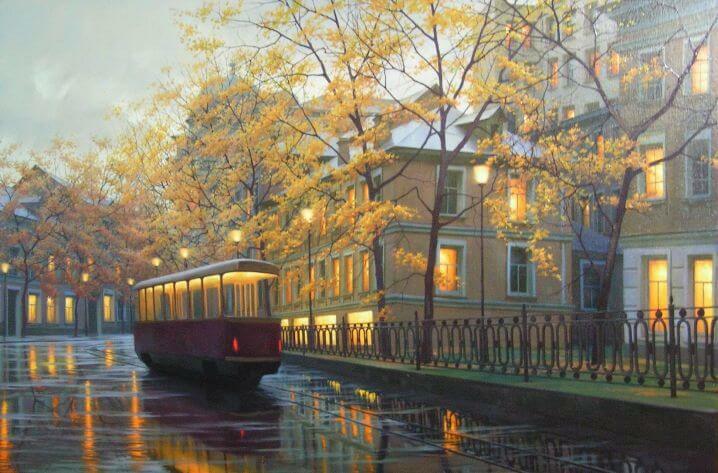 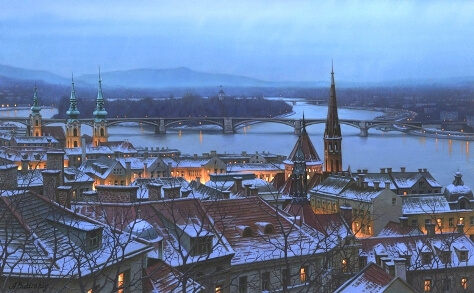 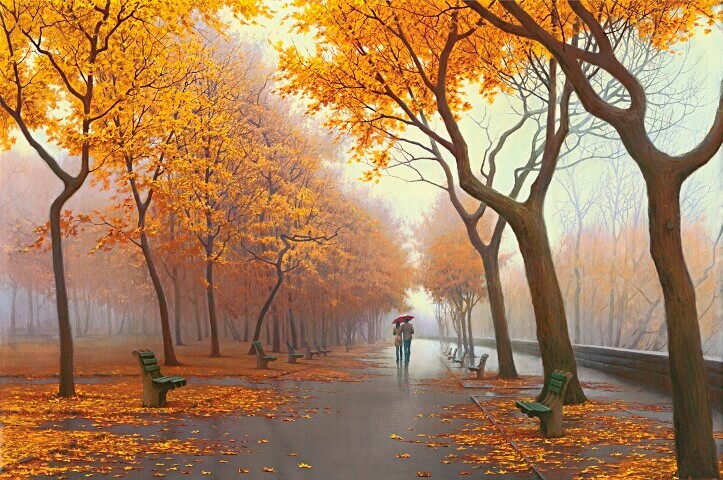 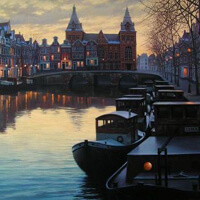 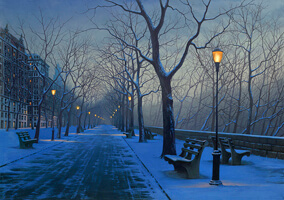 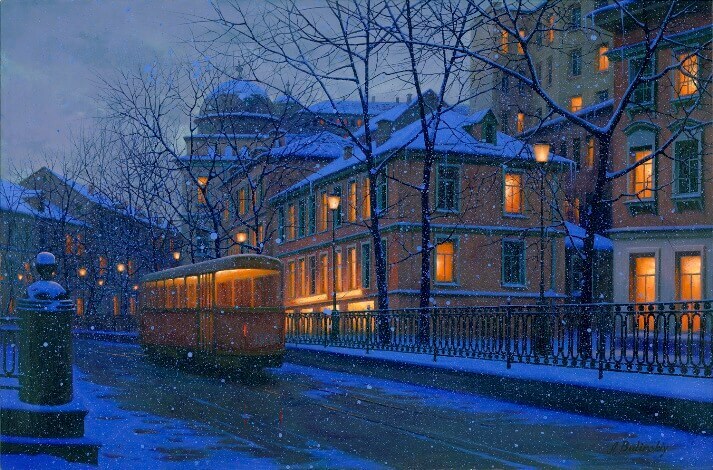 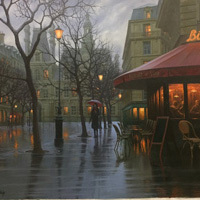 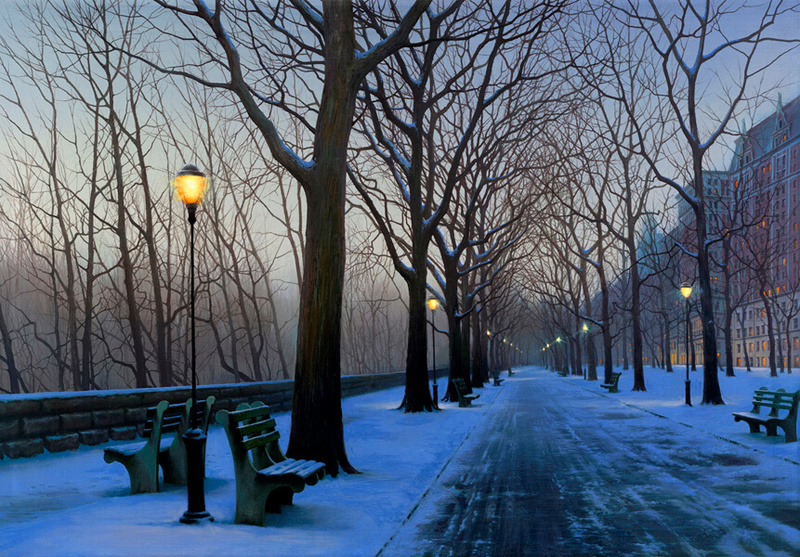 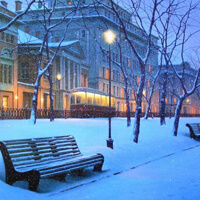 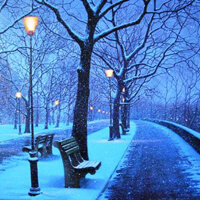 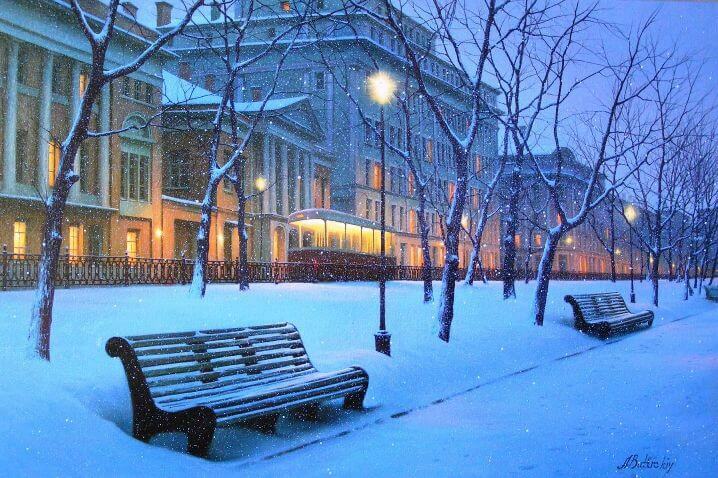 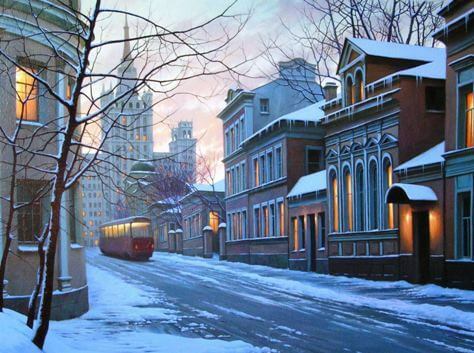 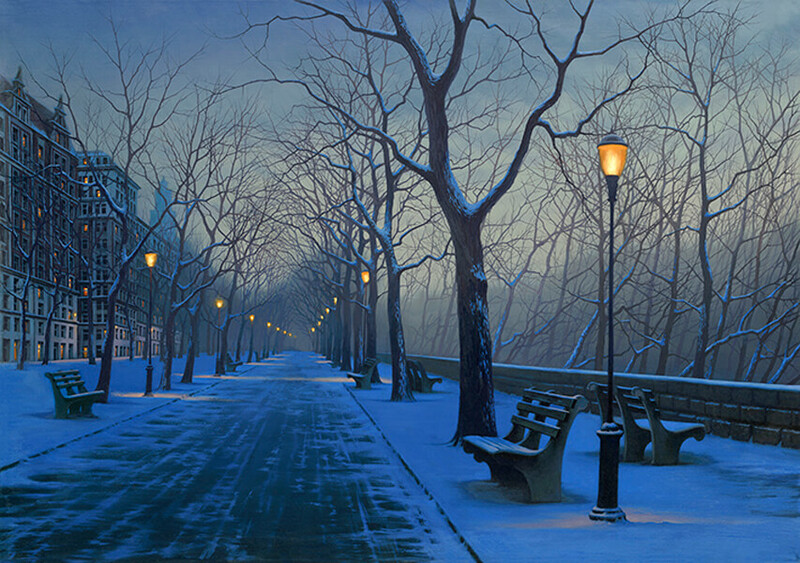 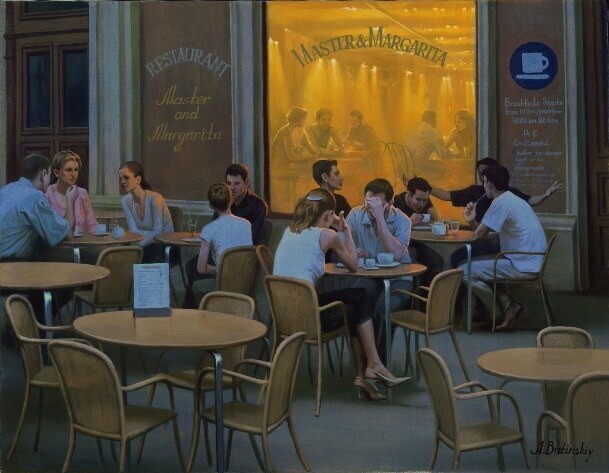 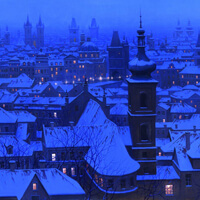 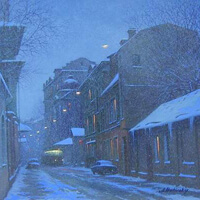 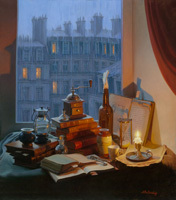 Born in Moscow in 1974 Alexei Butirskiy entered Moscow Art College in 1992. 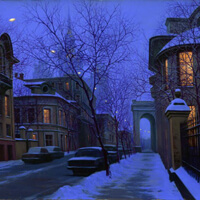 In 1996 he finished his studies at the Art College and graduated with an Excellence Diploma. 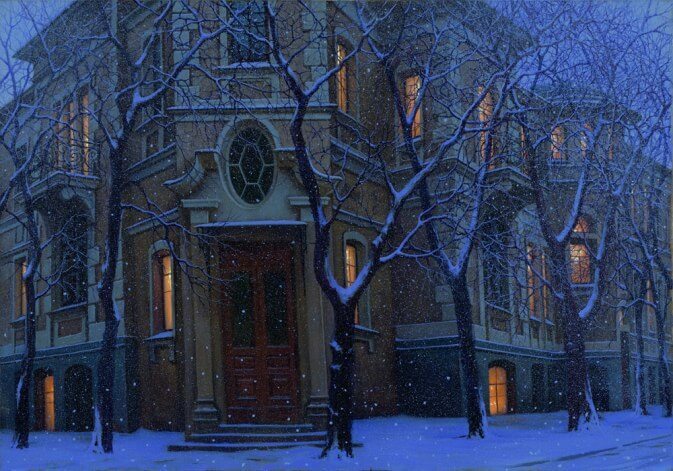 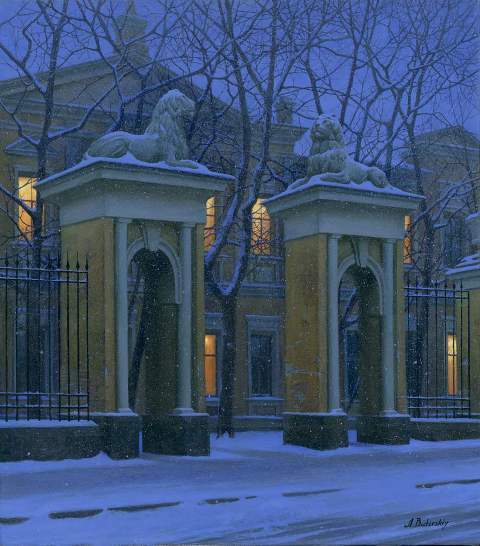 In 1998 he completed the Russian Academy of the Arts where he studied under respected professor L.S. 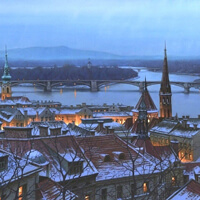 Hasyanova. 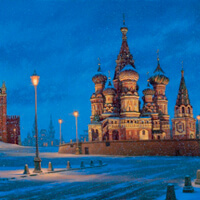 Since 1996, Butirskiy has participated in over 10 exhibitions, one-man shows and auctions both in Russia and in England and over 25 shows in the United States. 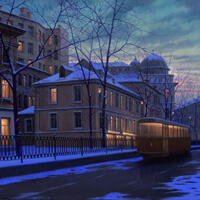 Most recently, Alexei has concentrated his efforts primarily on representing urban life around him in truthful and unglorified terms. 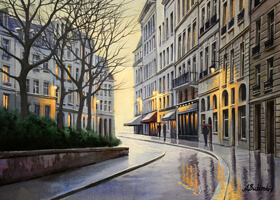 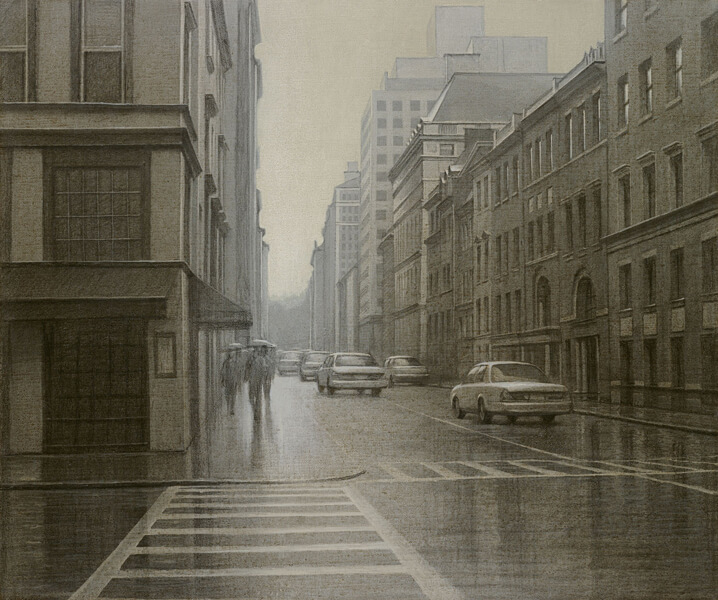 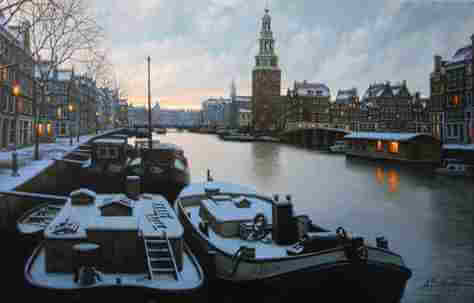 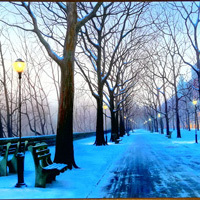 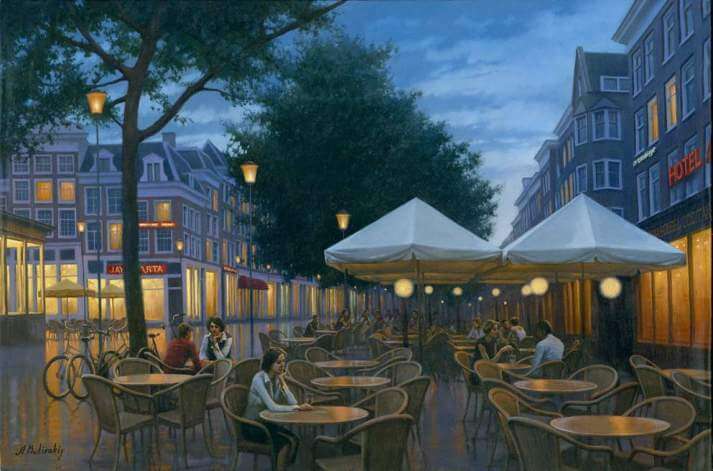 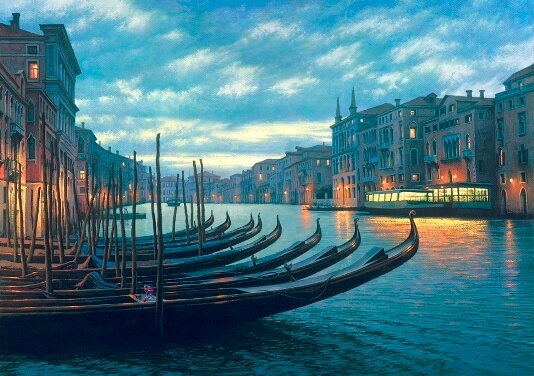 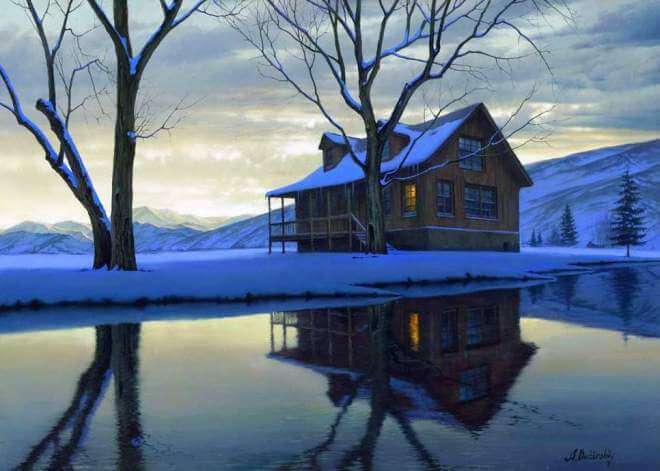 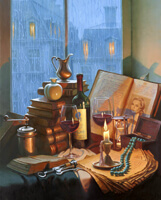 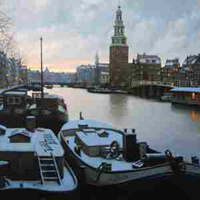 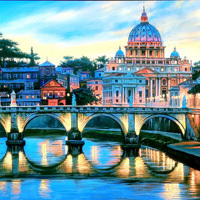 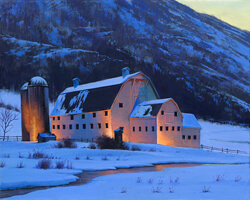 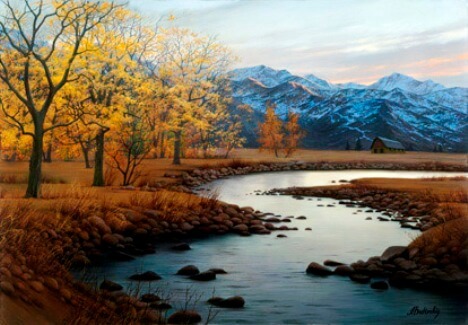 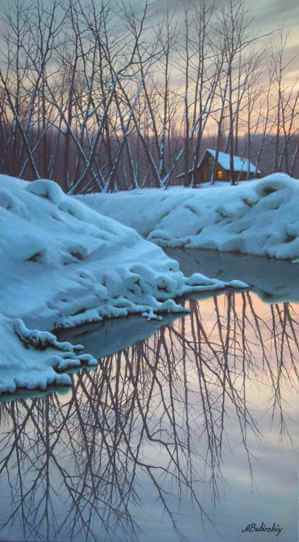 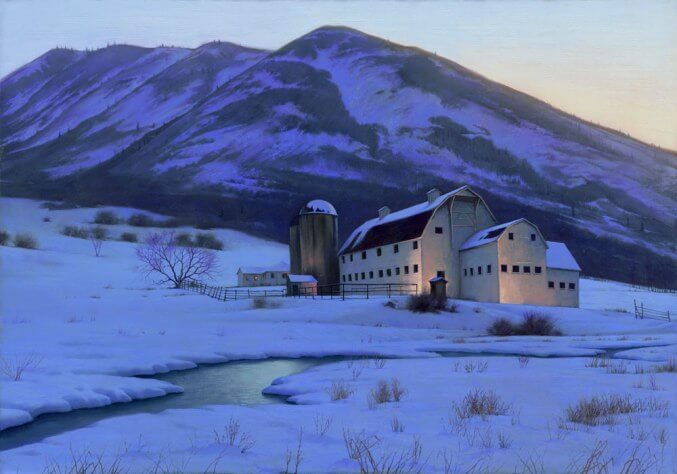 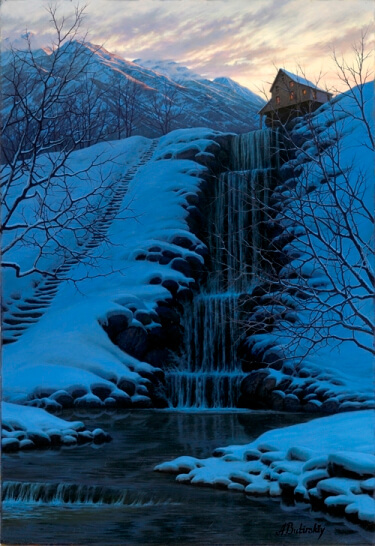 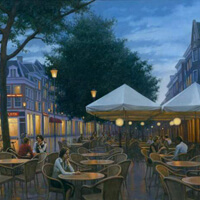 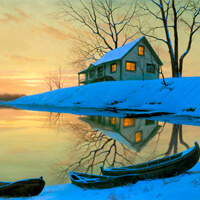 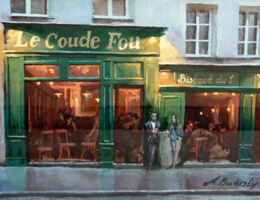 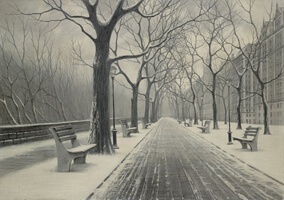 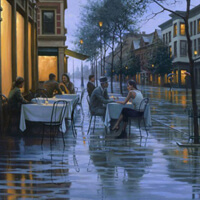 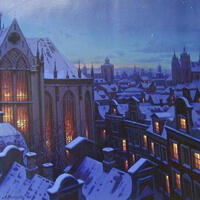 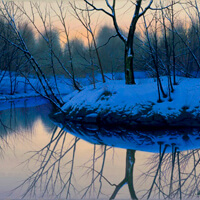 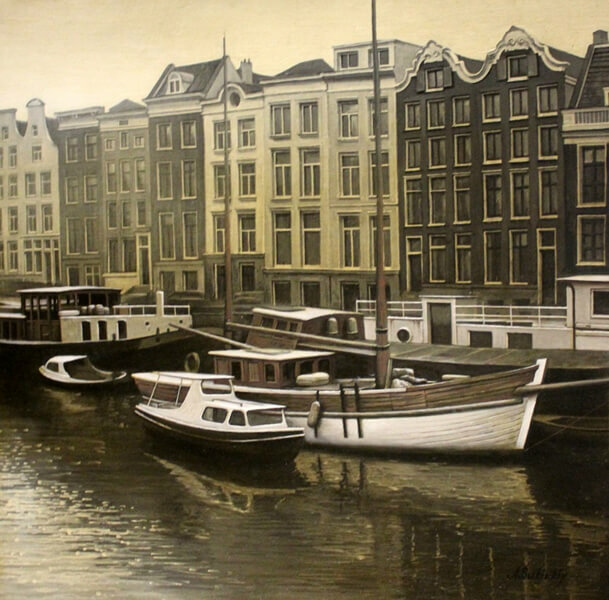 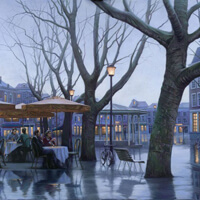 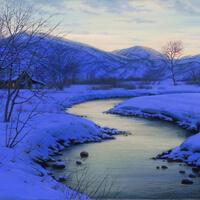 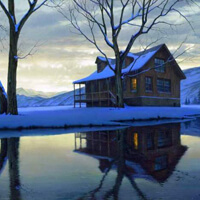 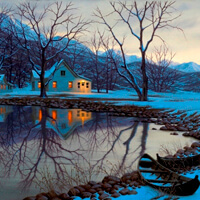 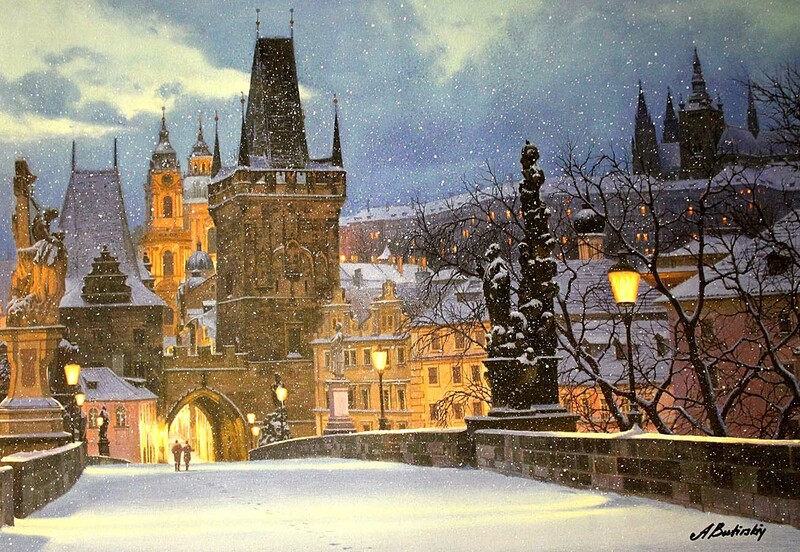 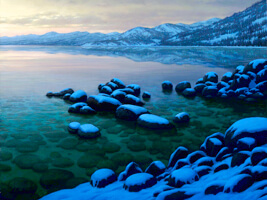 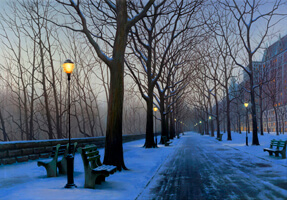 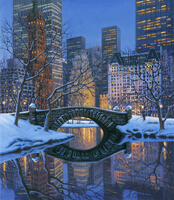 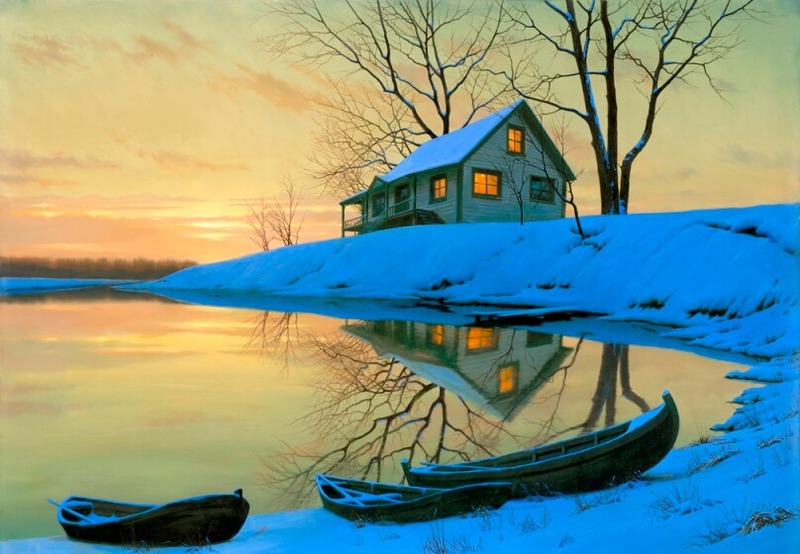 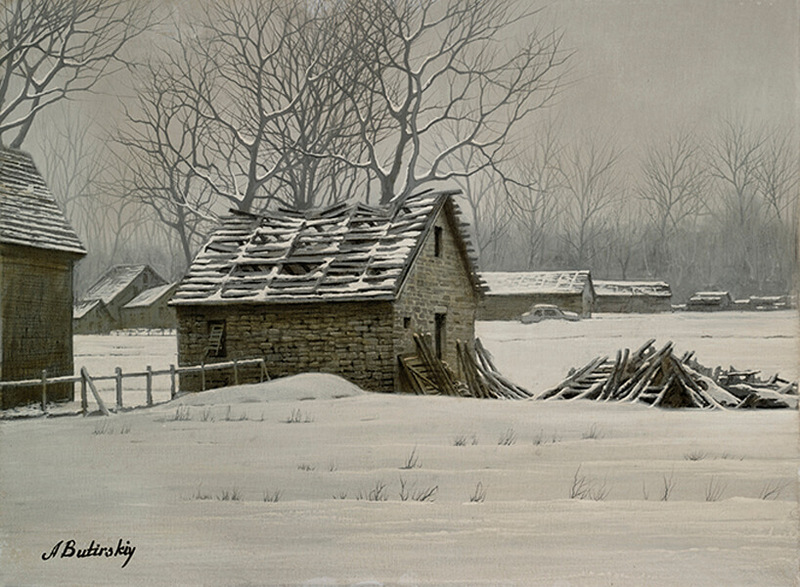 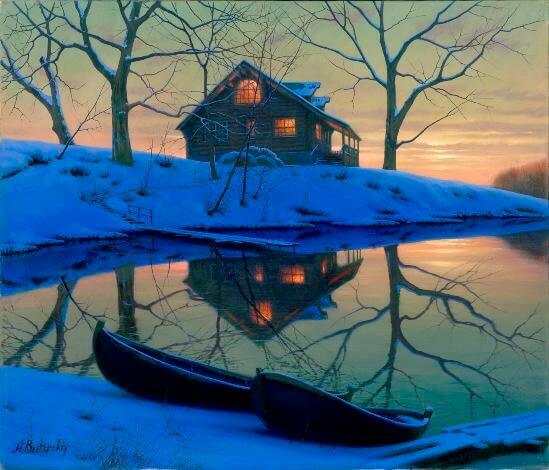 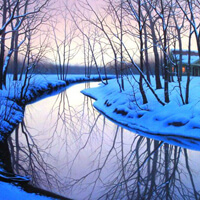 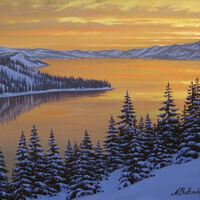 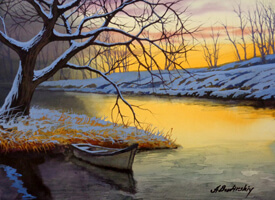 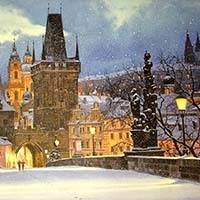 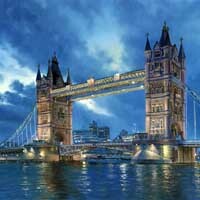 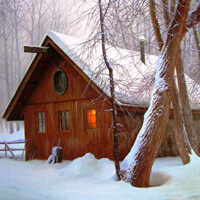 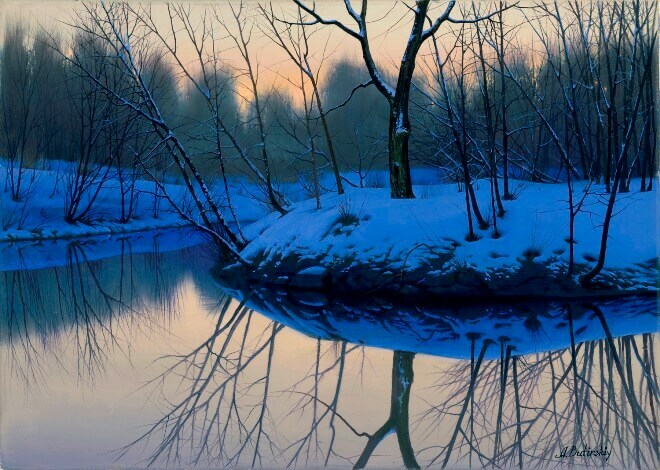 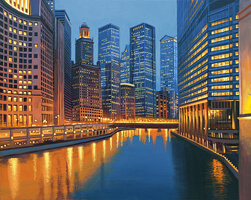 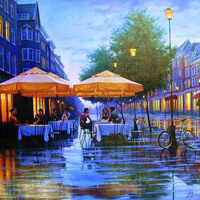 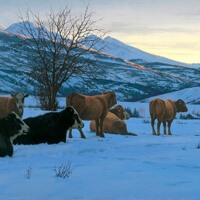 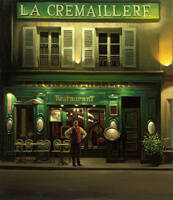 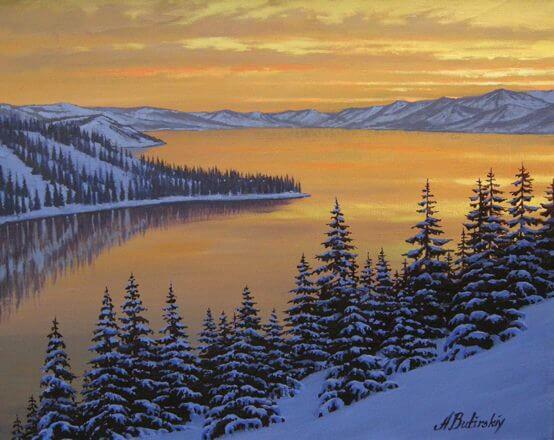 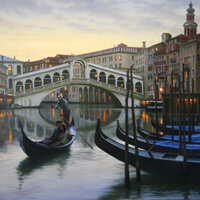 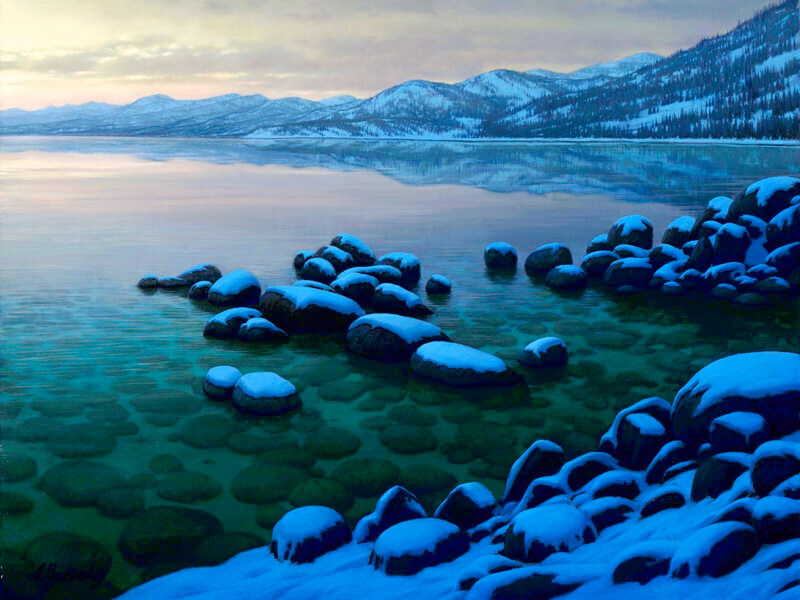 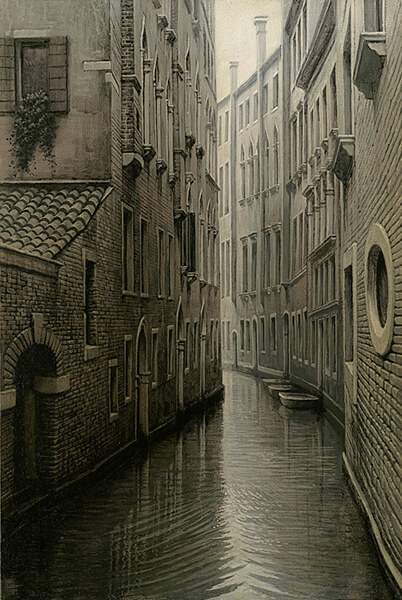 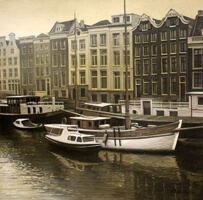 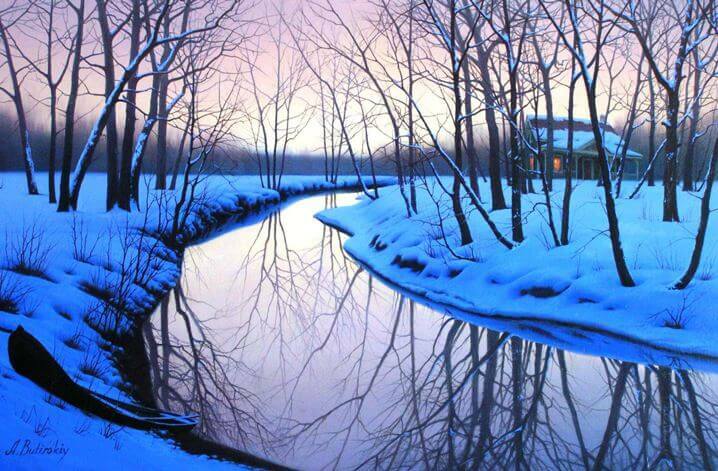 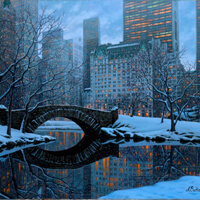 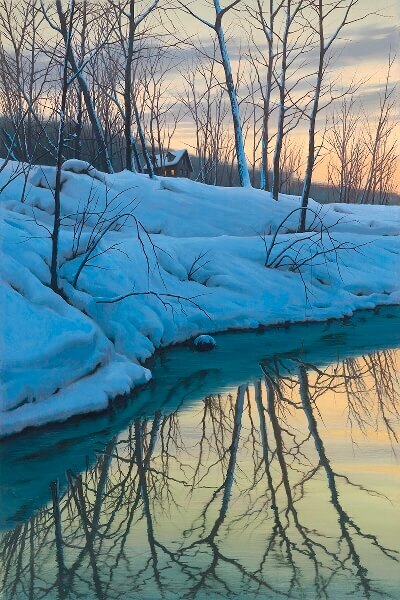 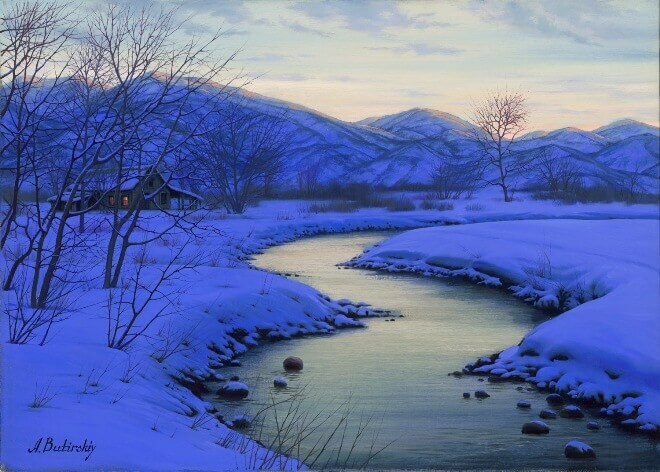 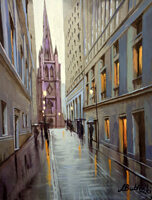 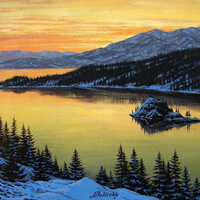 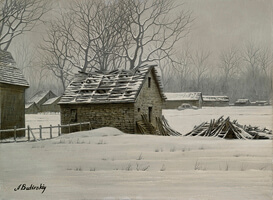 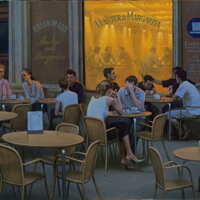 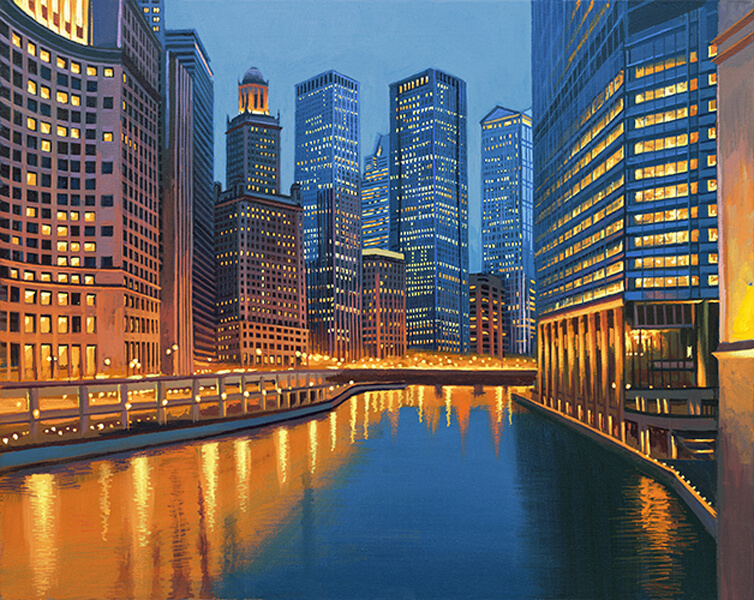 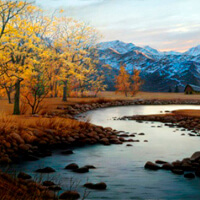 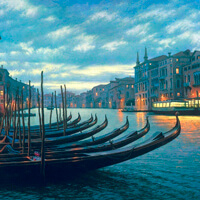 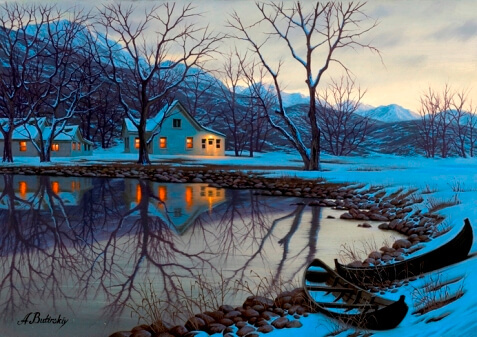 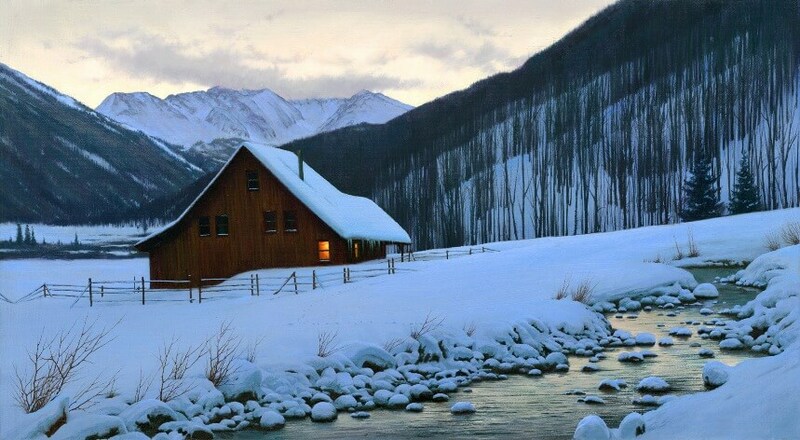 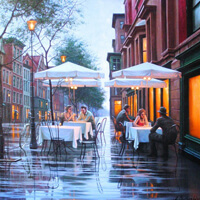 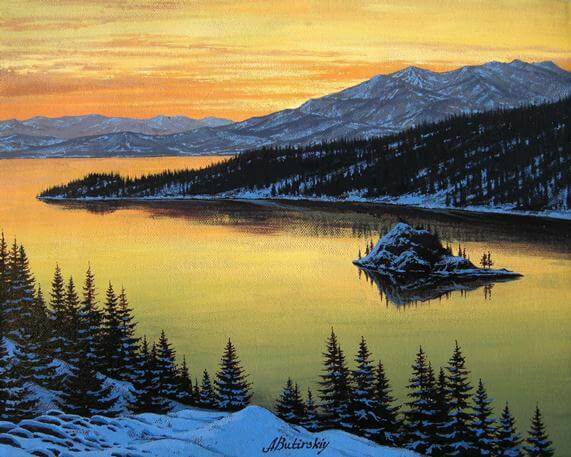 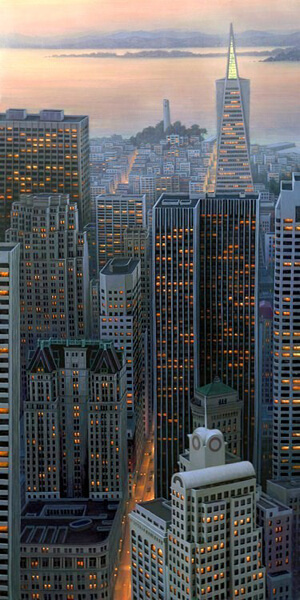 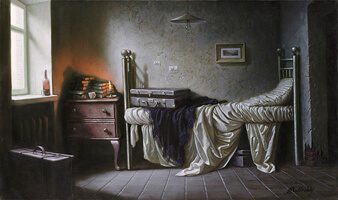 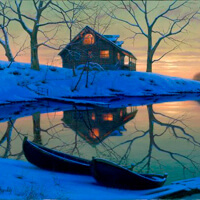 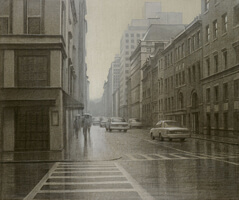 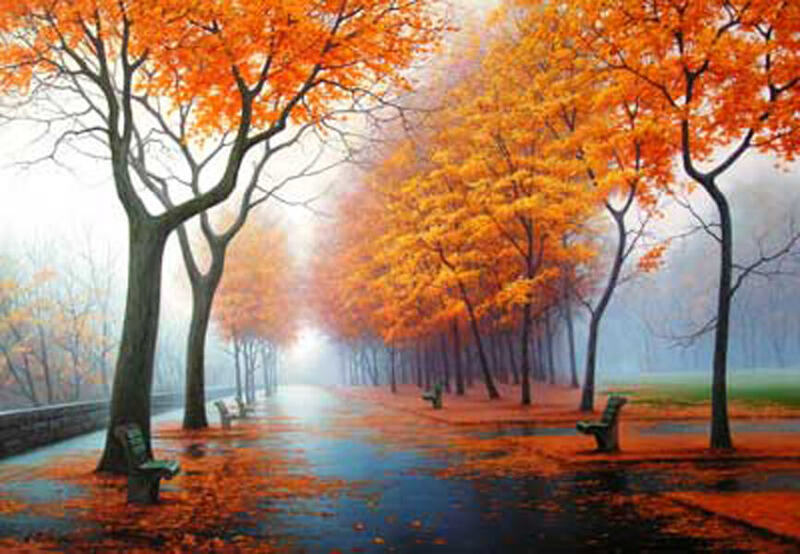 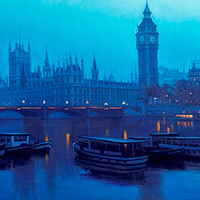 A sense of tranquility is conveyed in each of his paintings. 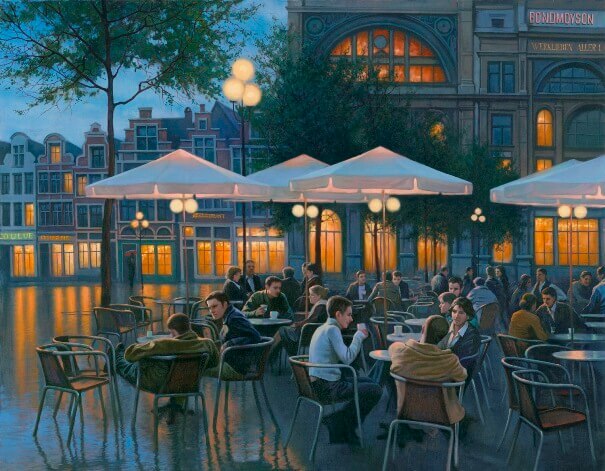 They are typically without action of conviviality and most are uncannily still, with only light, space, shadows and color offering dialog. 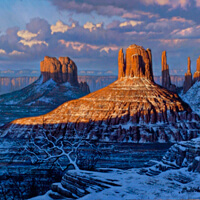 The power and intensity of the relationship between light and dark are the profound forces of his work. 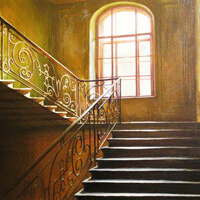 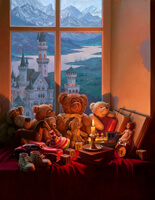 The sophisticated application of light effects with color reinforce the majesty of his compositions. Butirskiy's paintings are reminiscent of the works of Claude de Lorraine and Caravaggio with their luminescent qualities and skillful variations of light and dark. 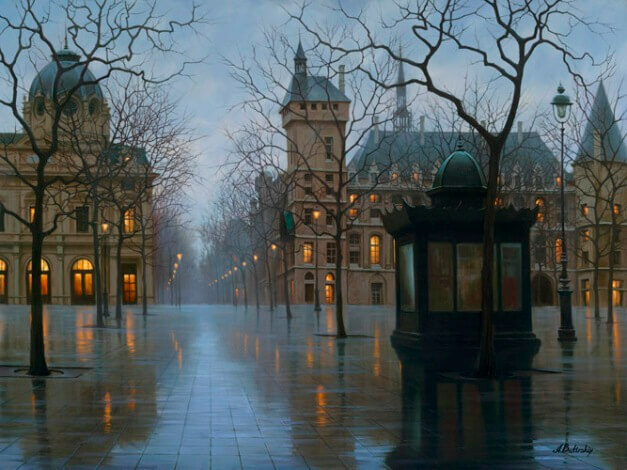 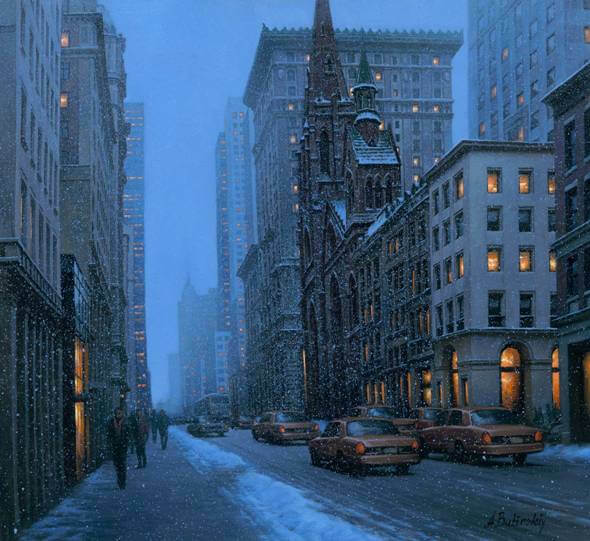 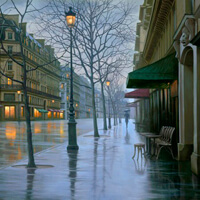 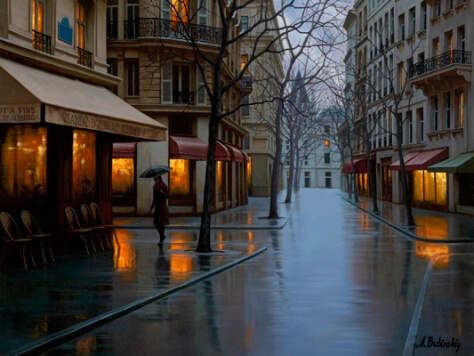 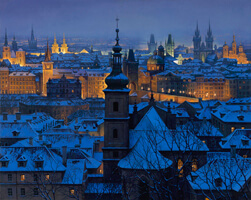 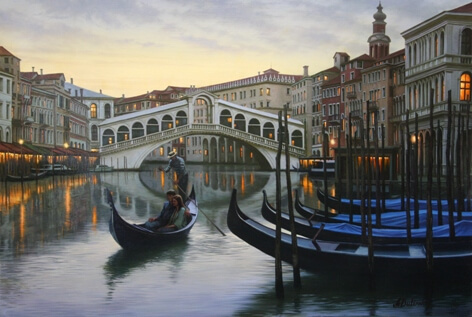 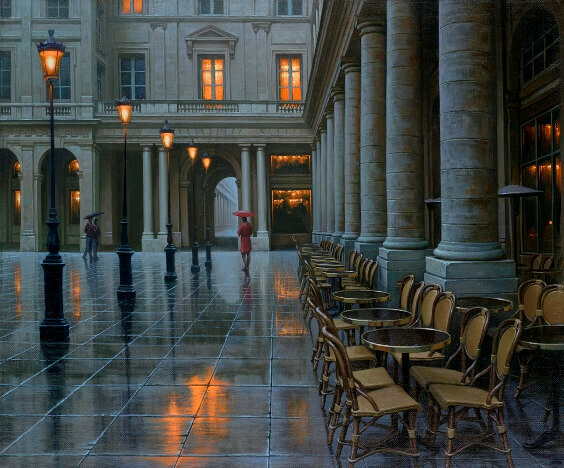 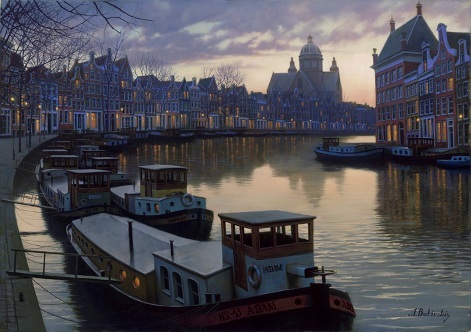 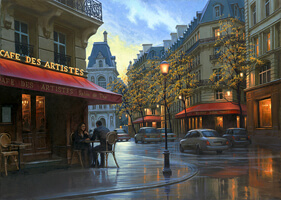 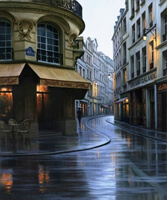 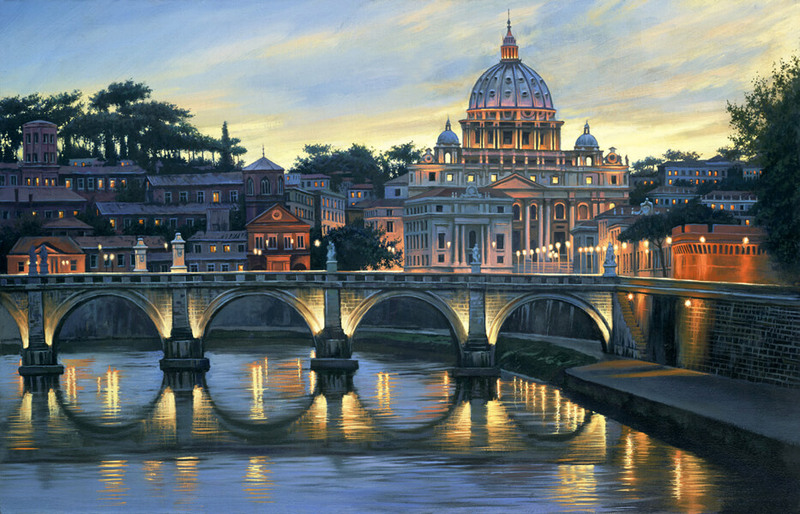 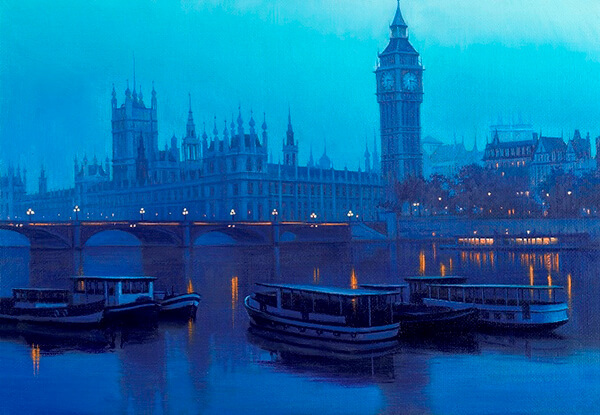 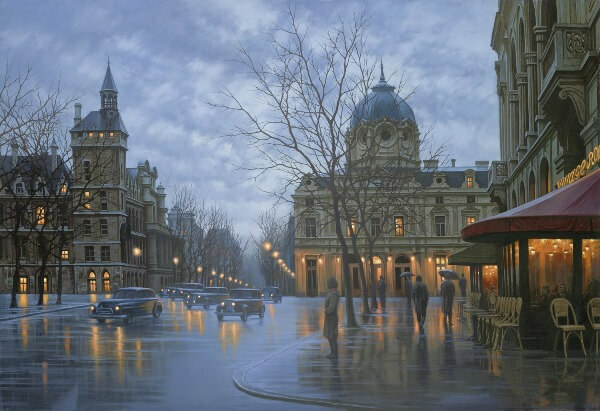 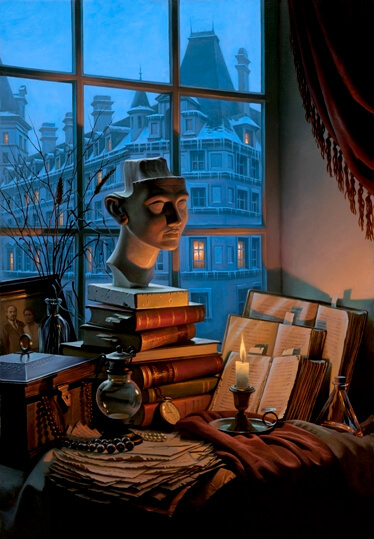 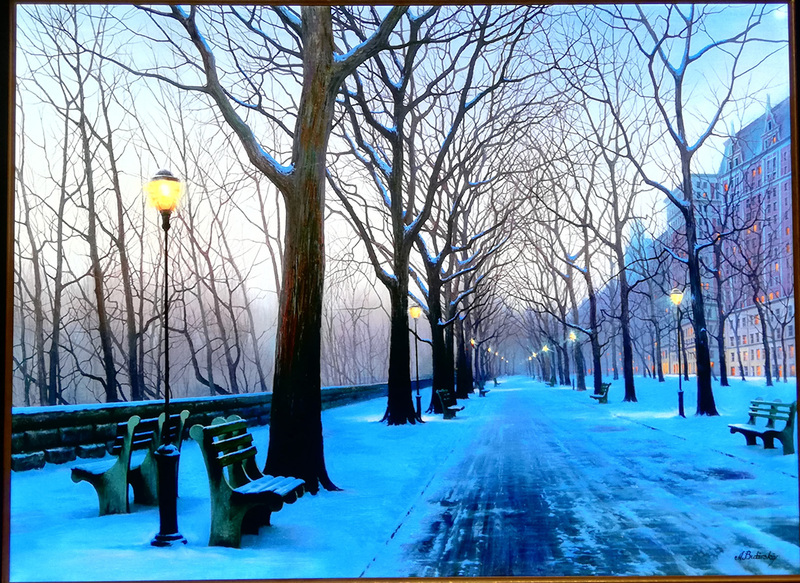 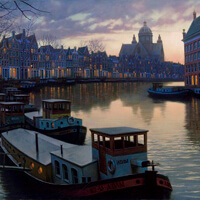 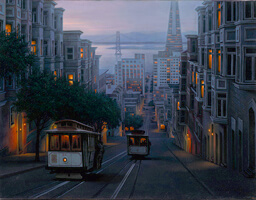 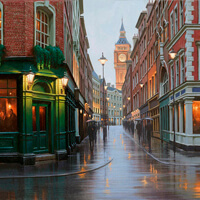 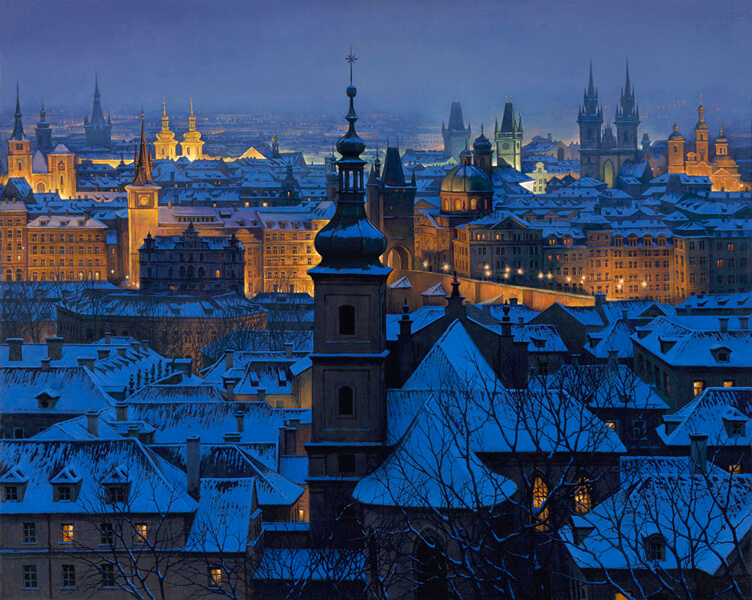 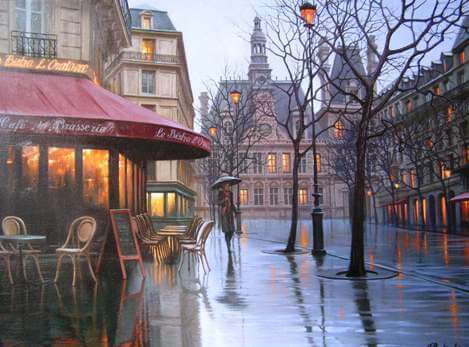 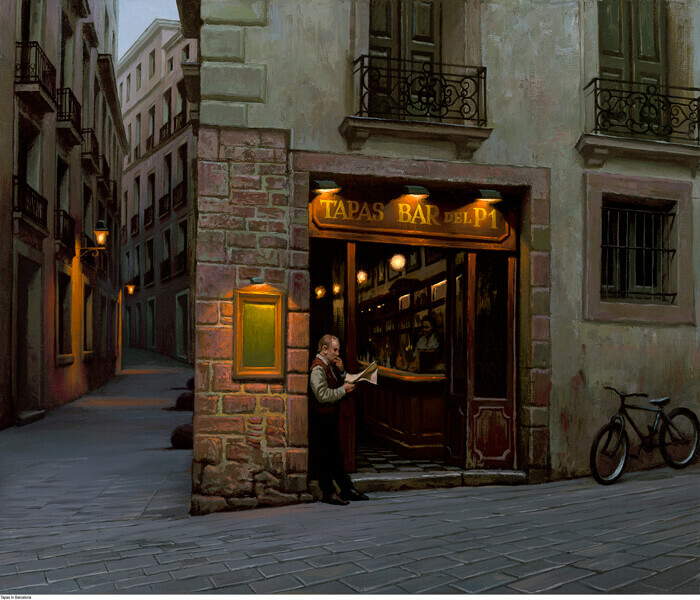 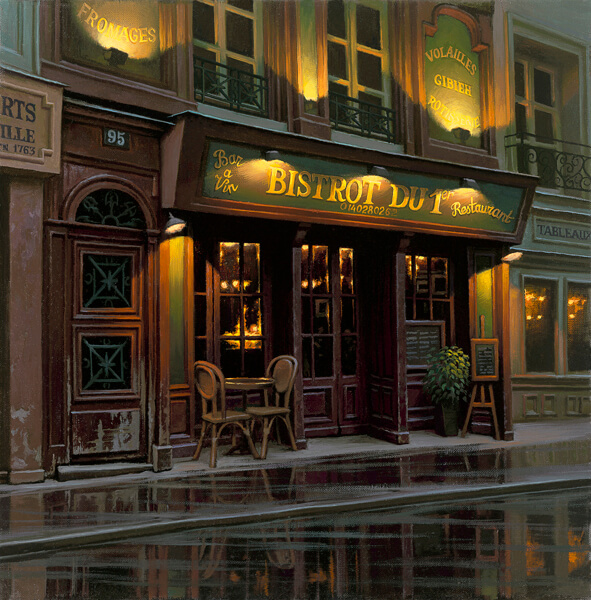 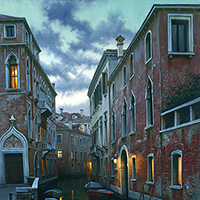 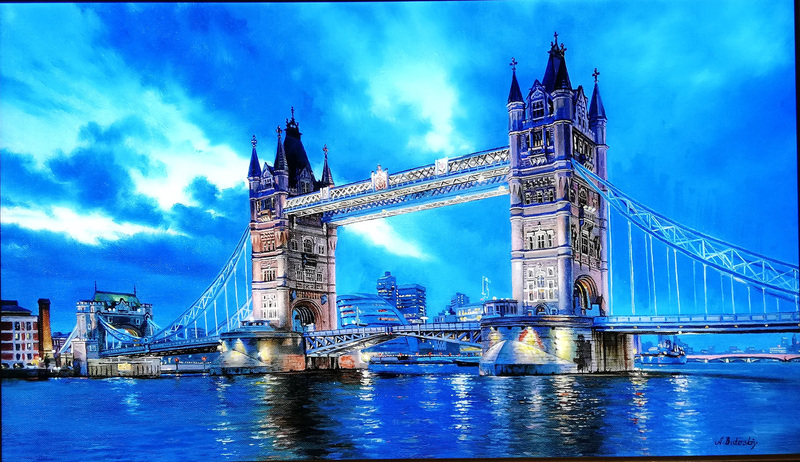 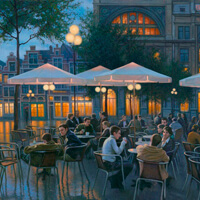 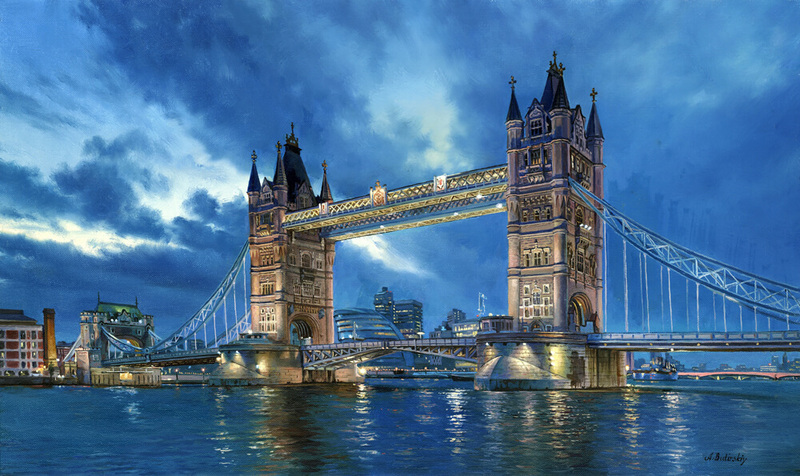 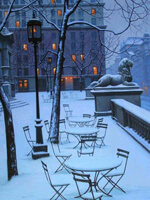 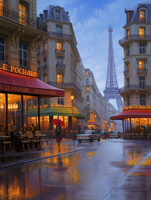 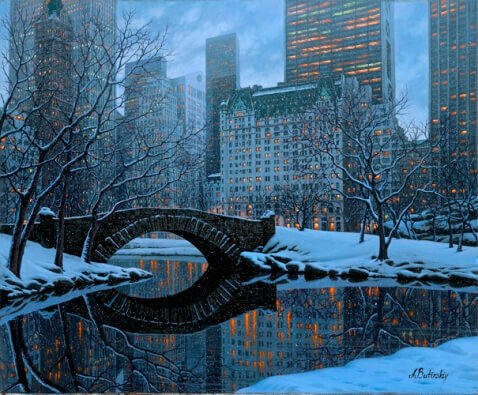 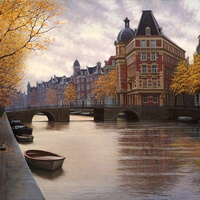 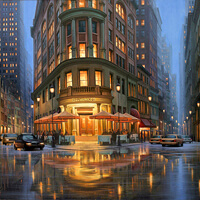 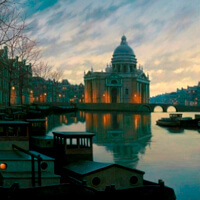 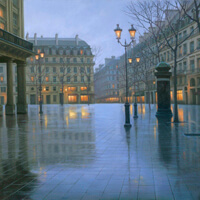 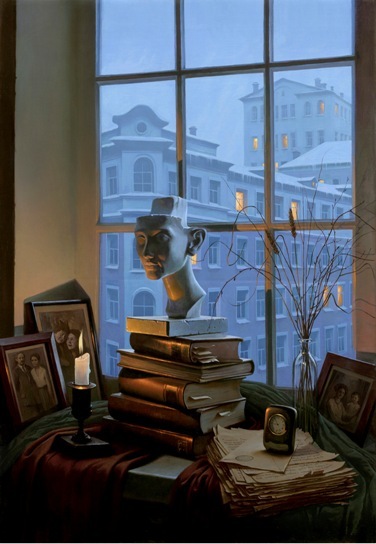 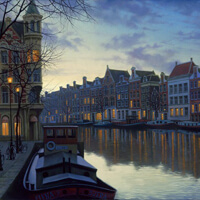 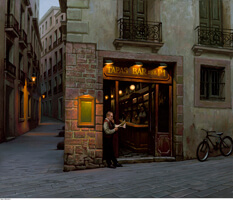 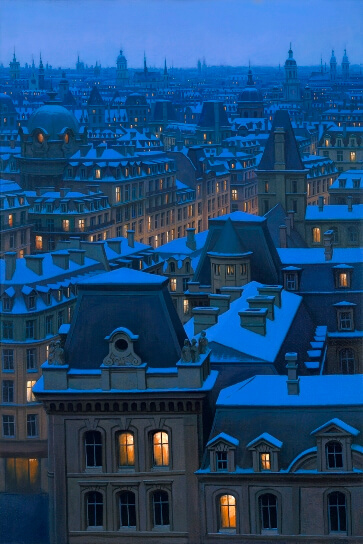 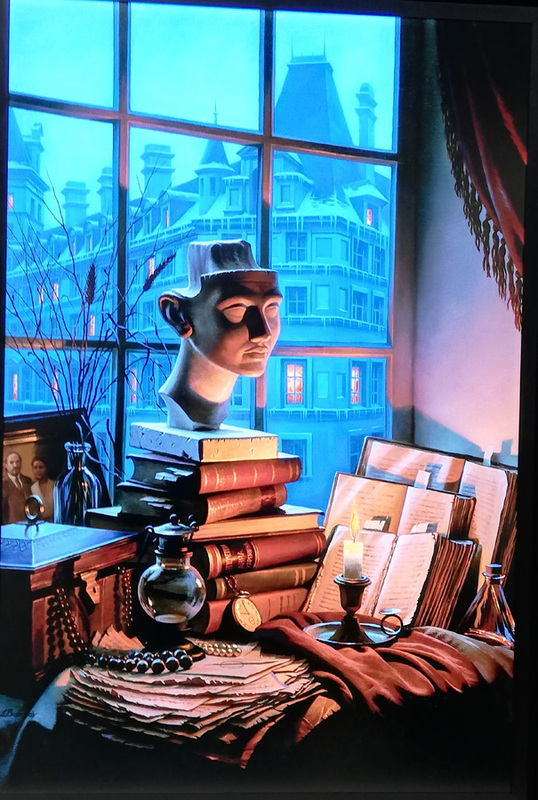 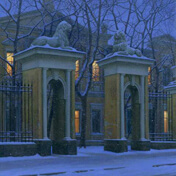 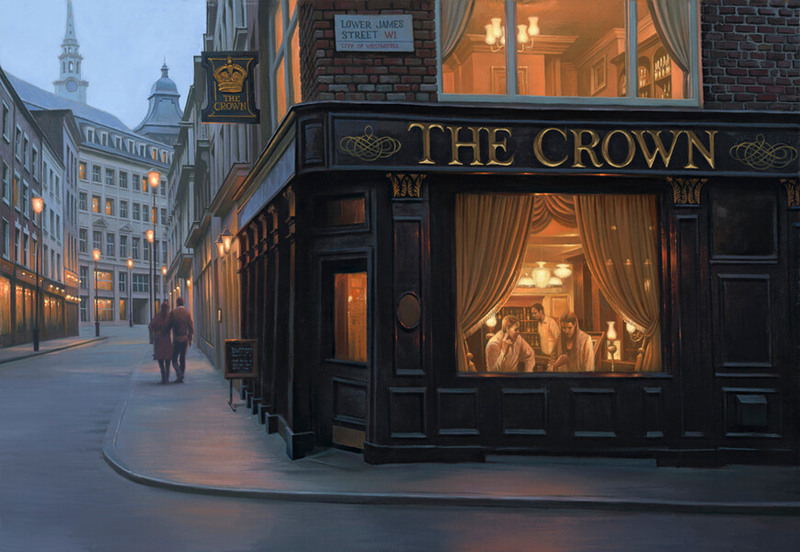 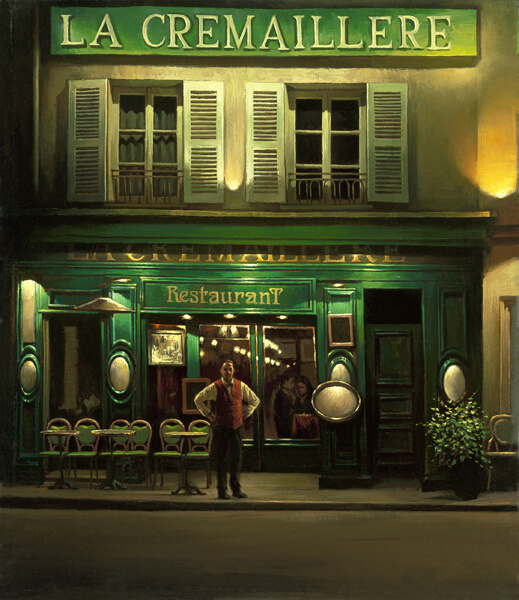 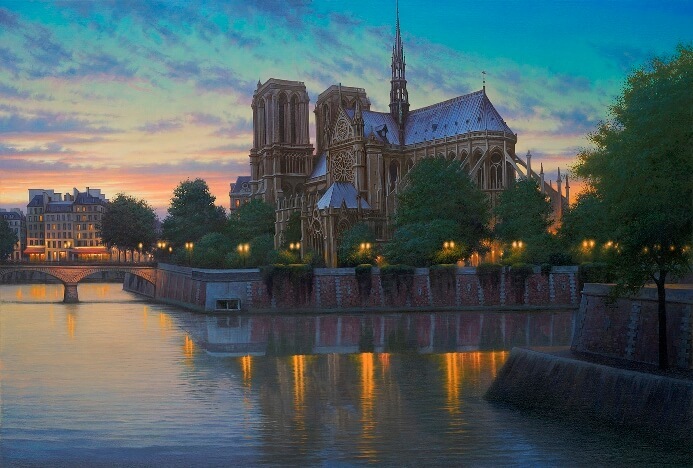 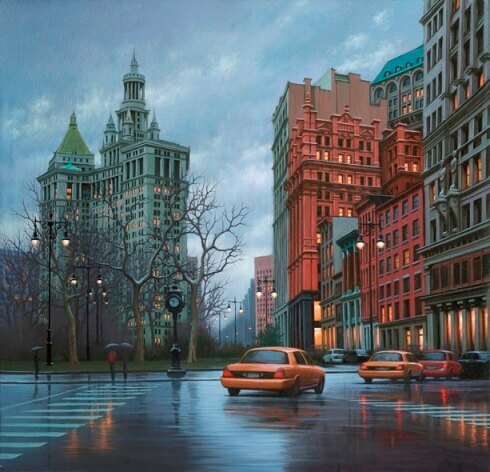 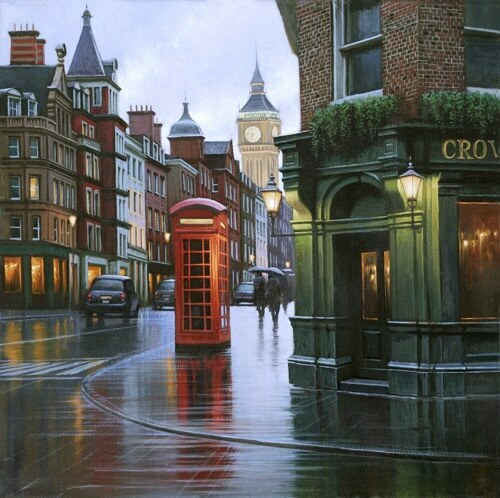 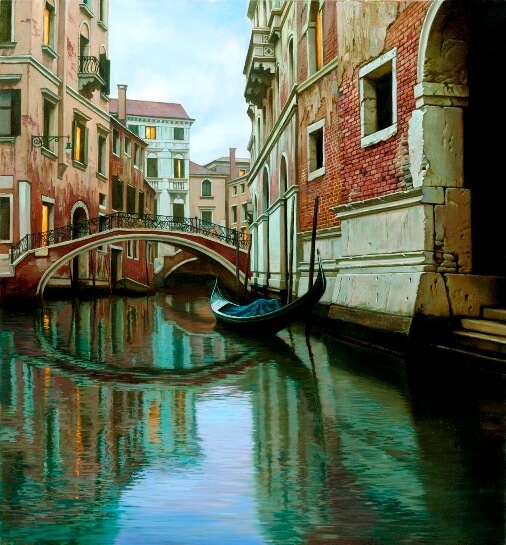 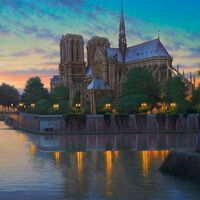 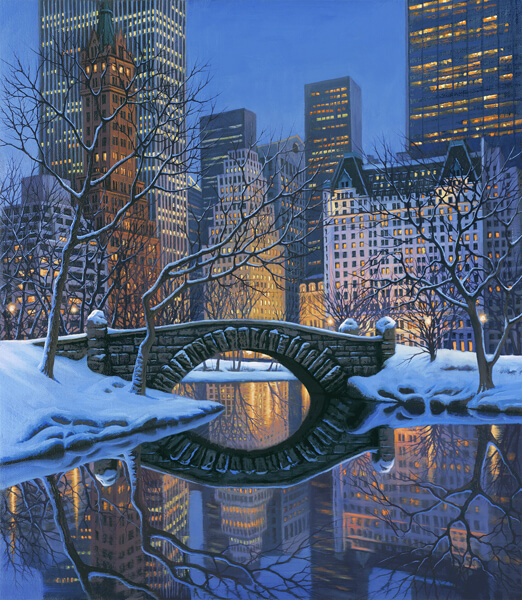 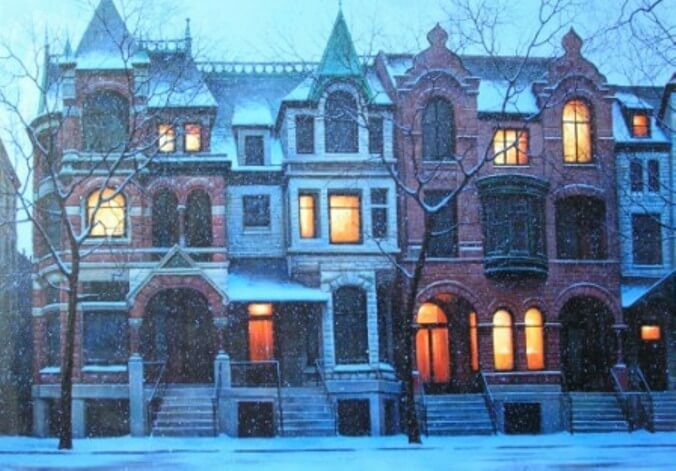 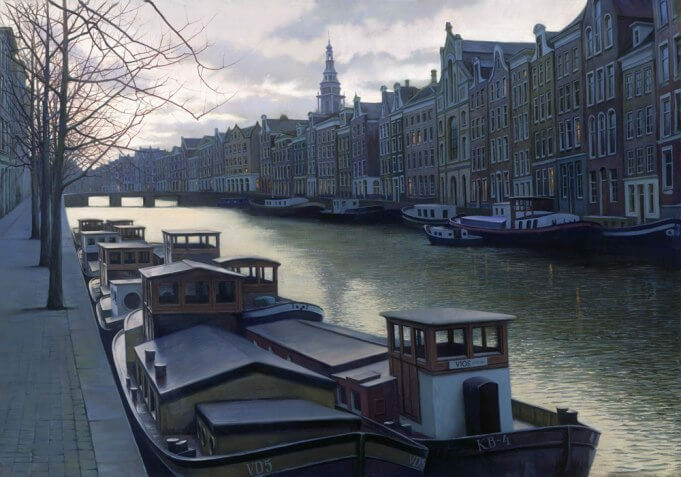 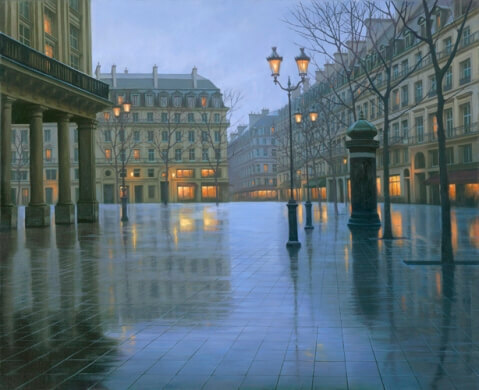 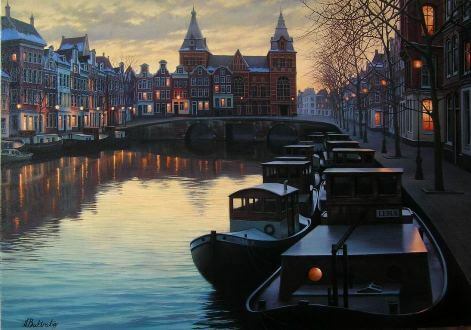 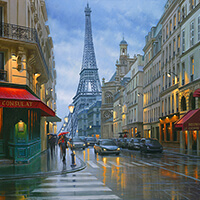 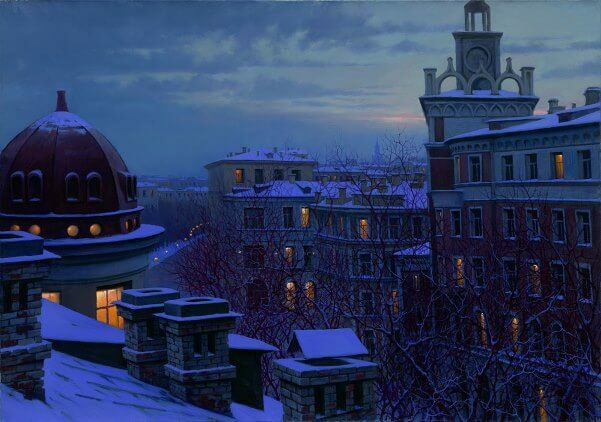 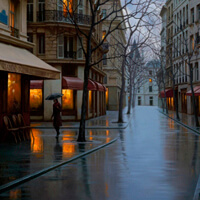 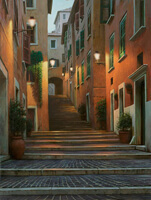 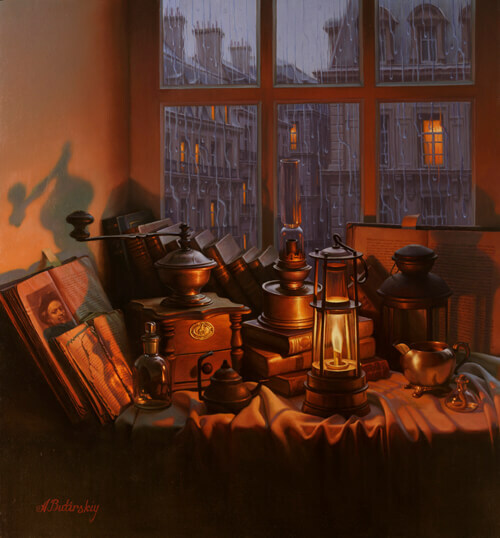 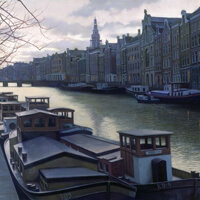 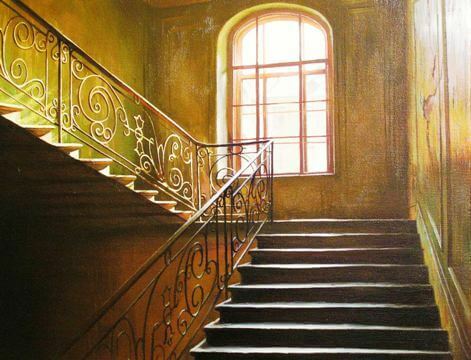 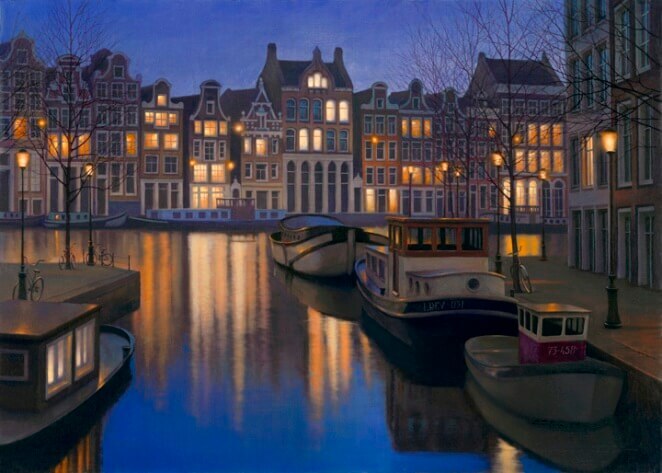 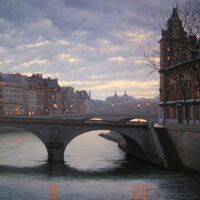 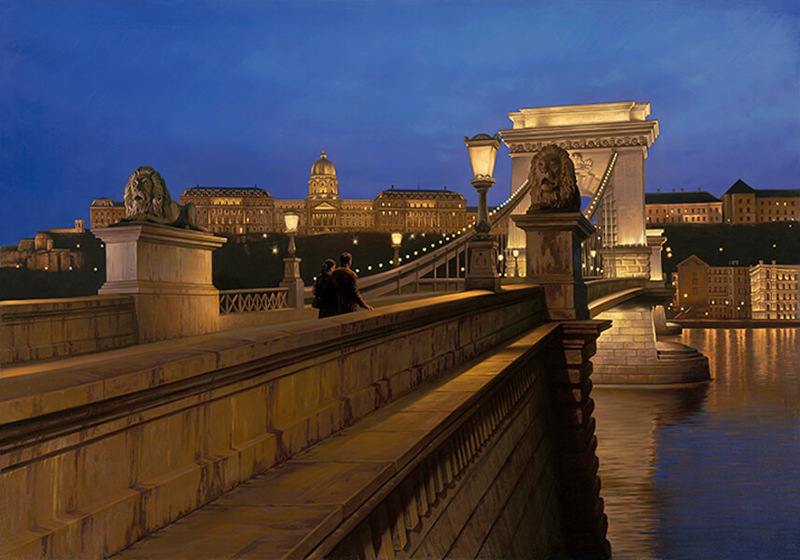 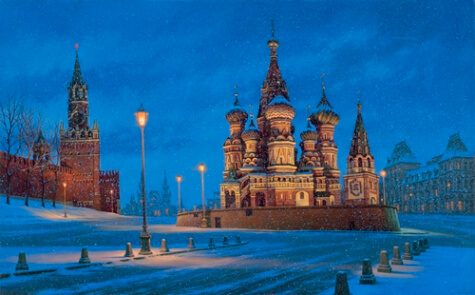 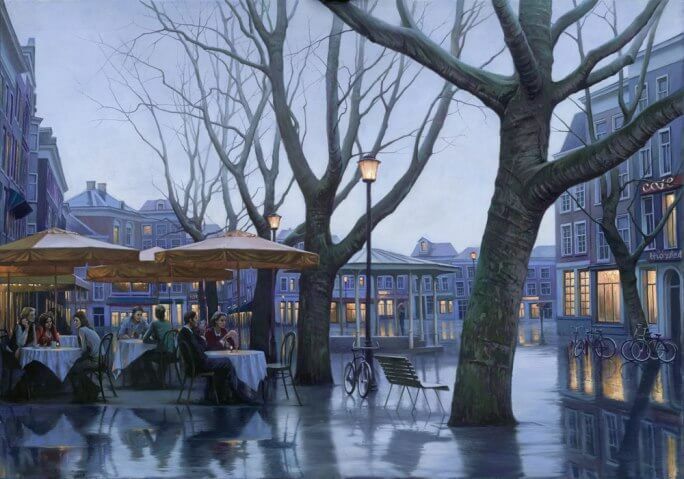 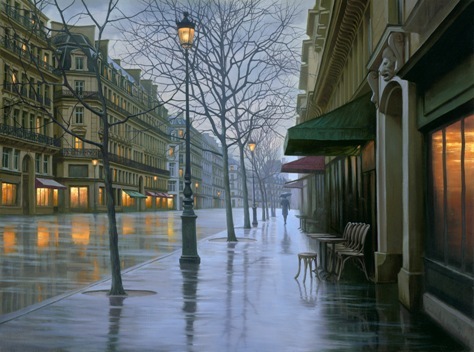 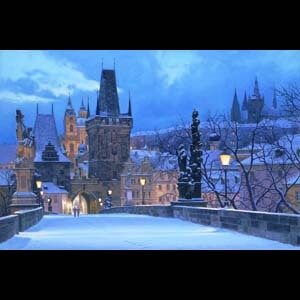 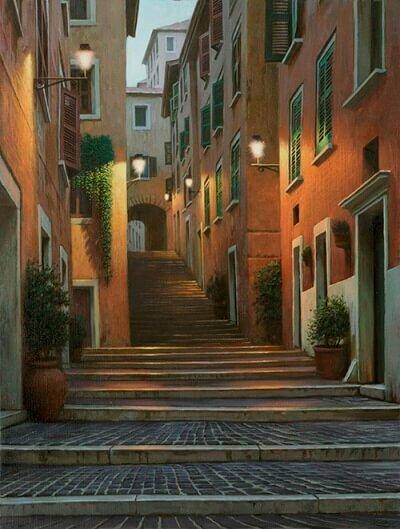 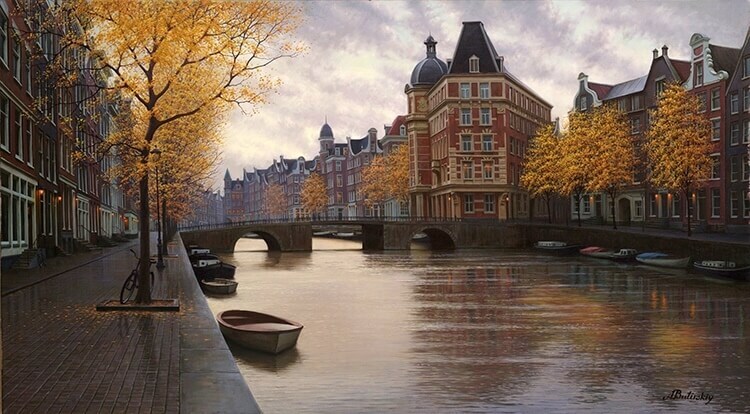 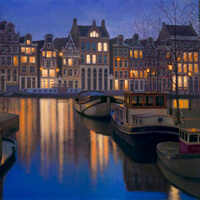 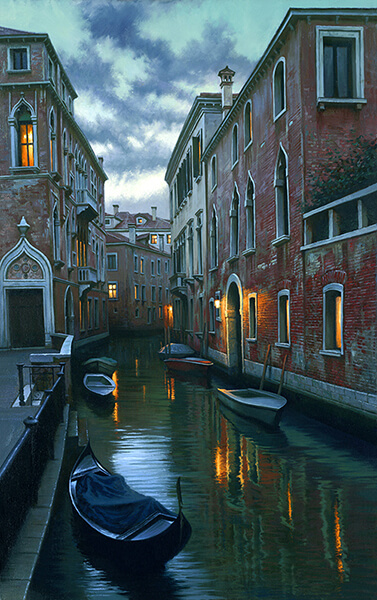 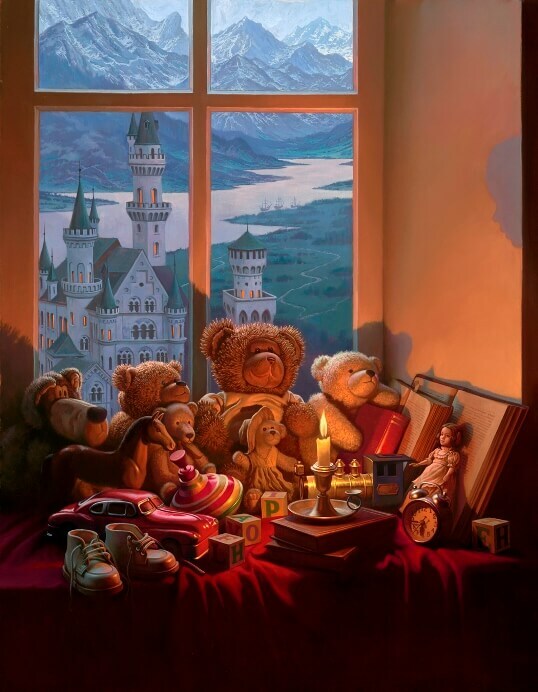 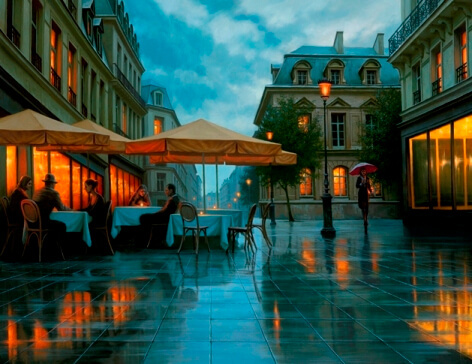 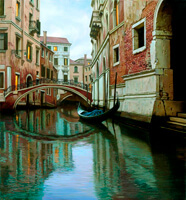 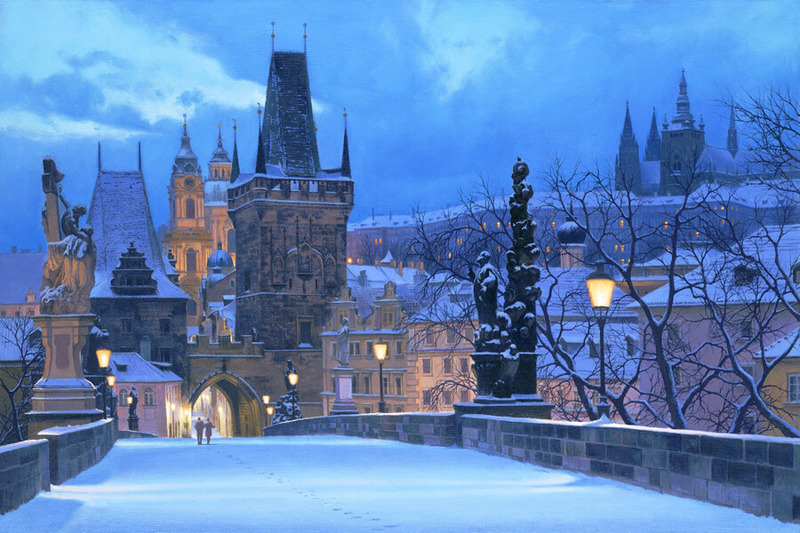 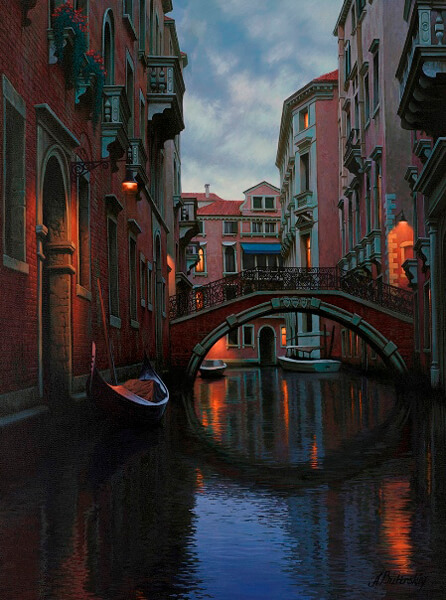 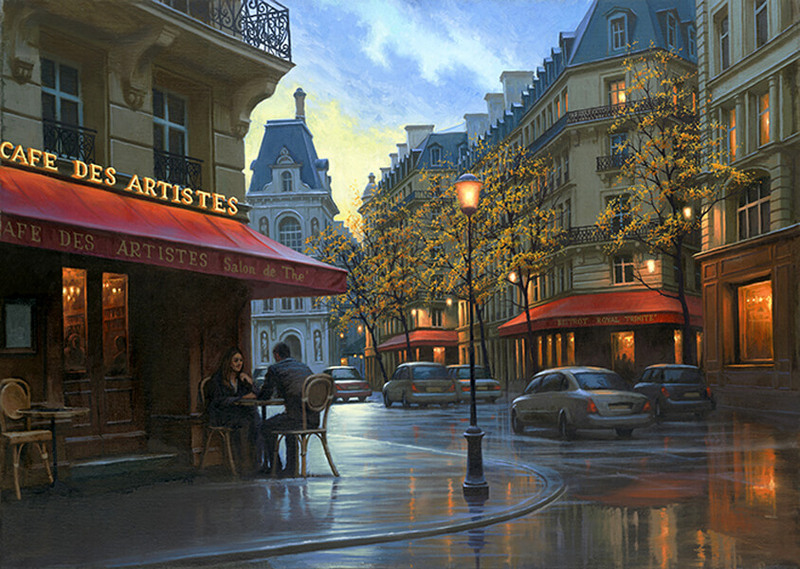 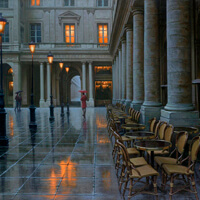 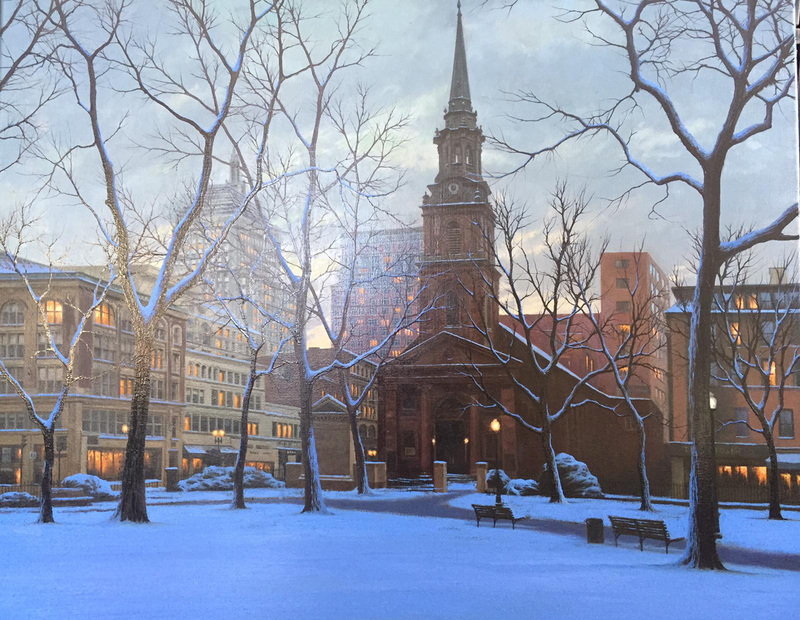 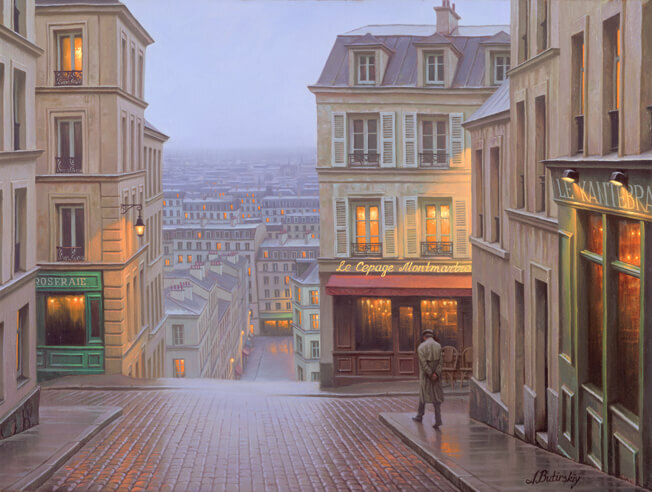 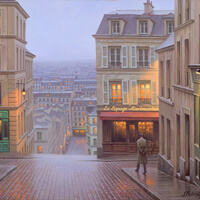 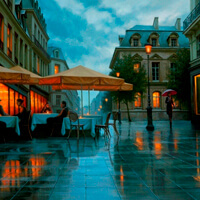 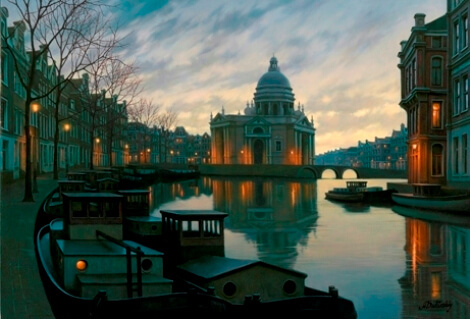 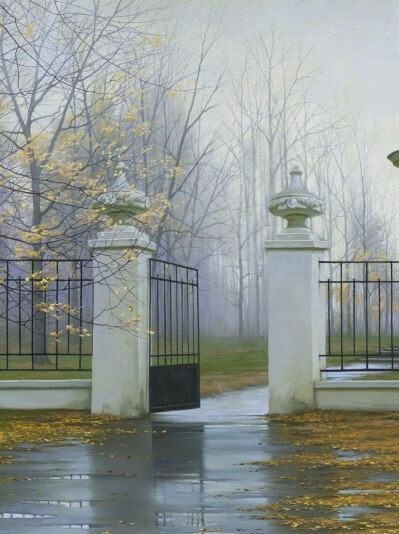 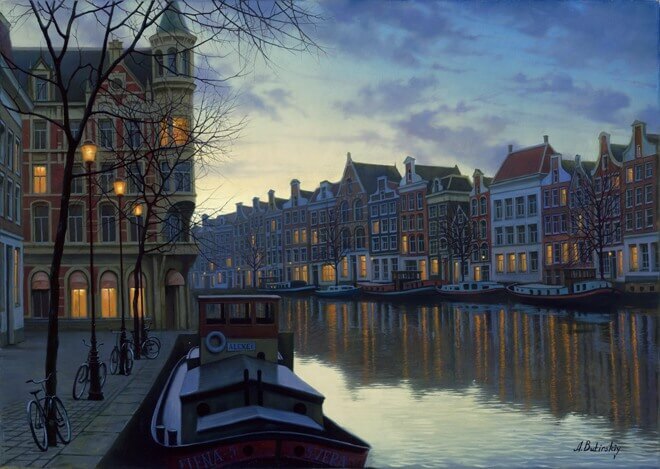 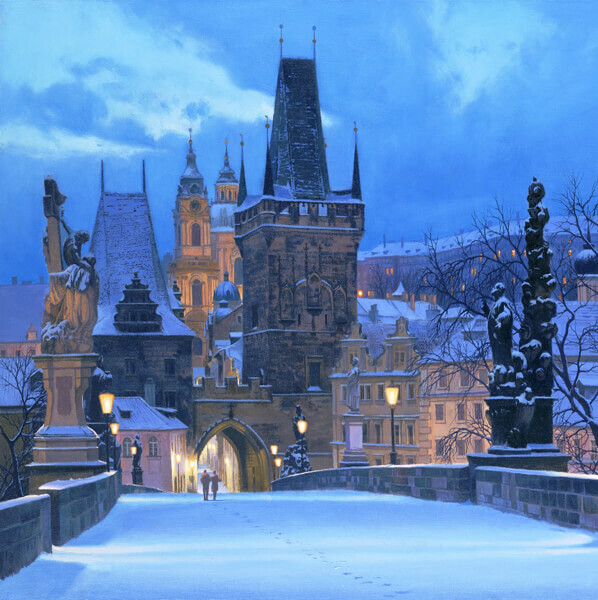 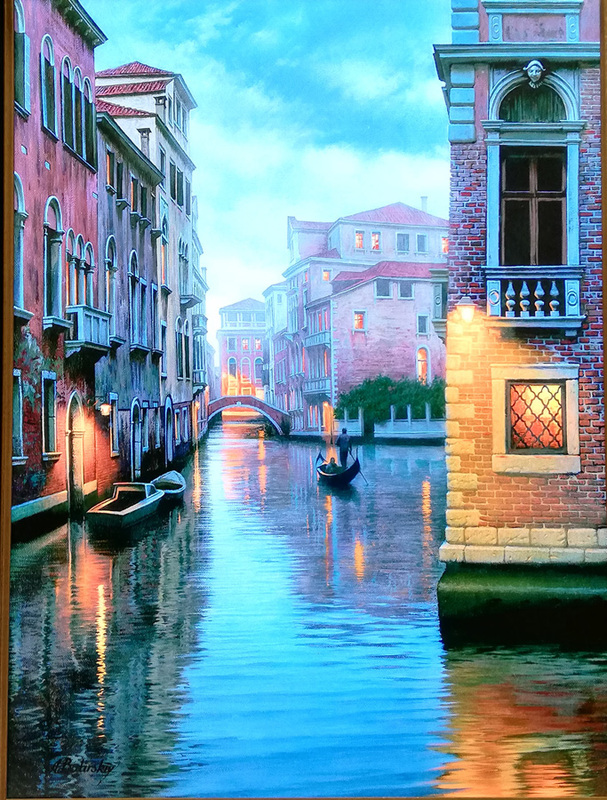 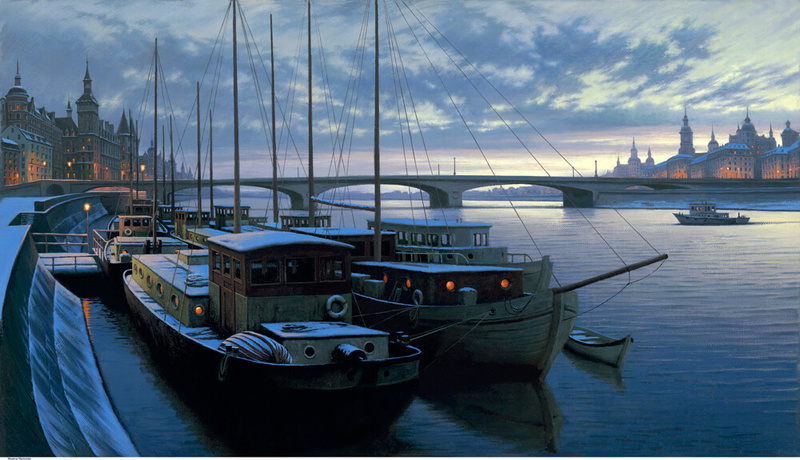 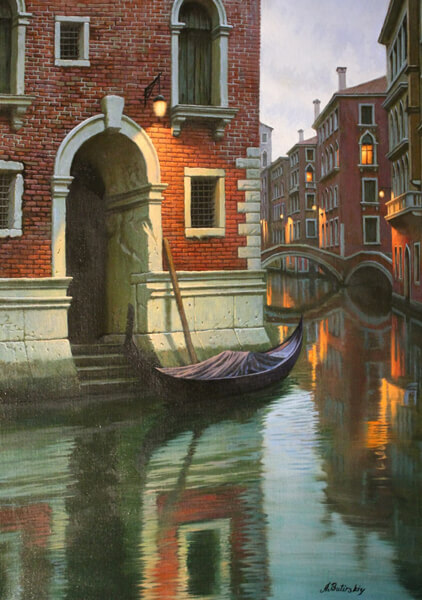 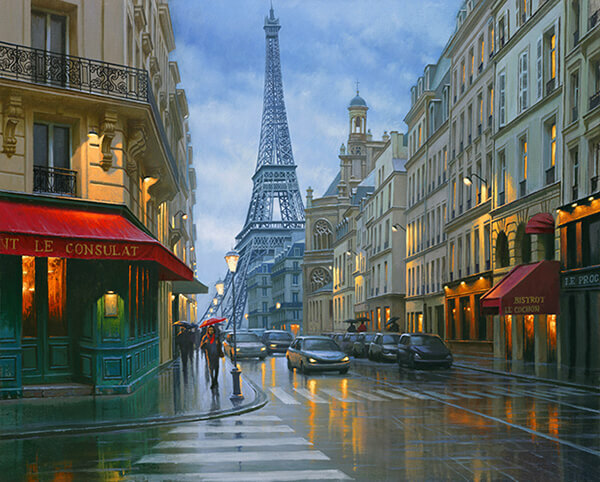 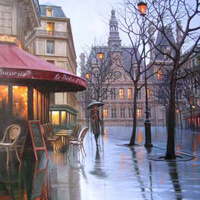 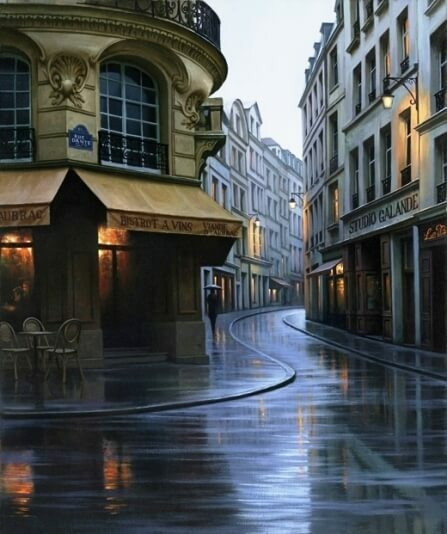 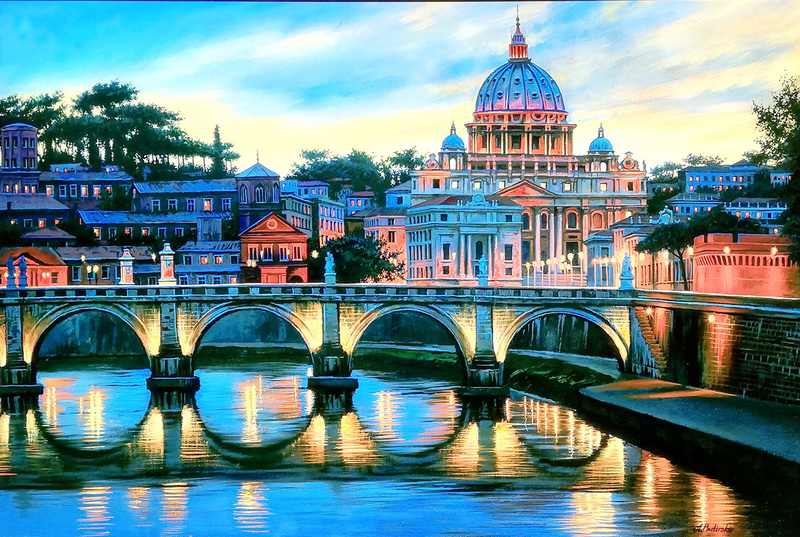 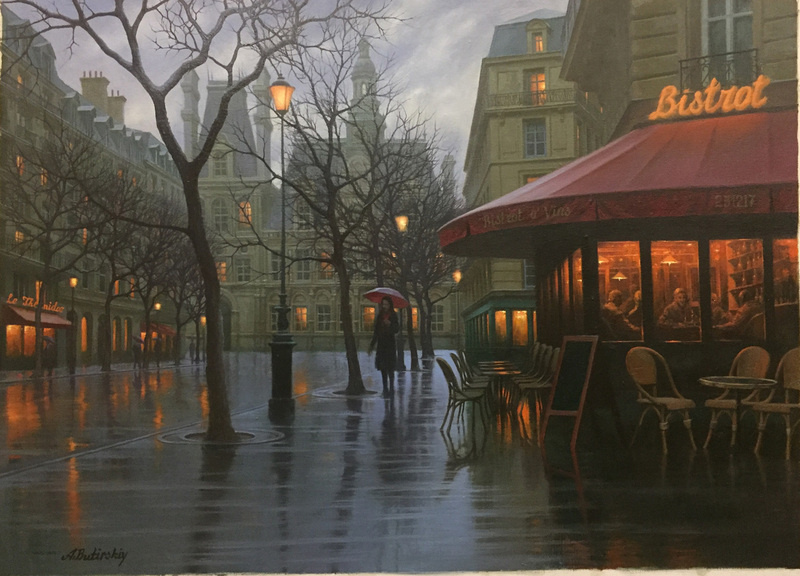 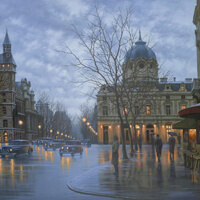 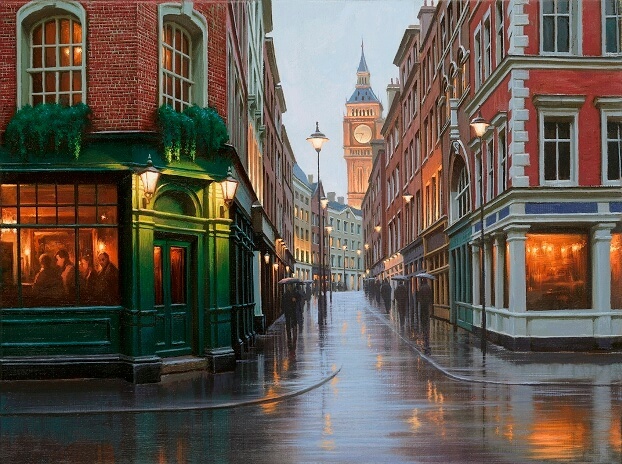 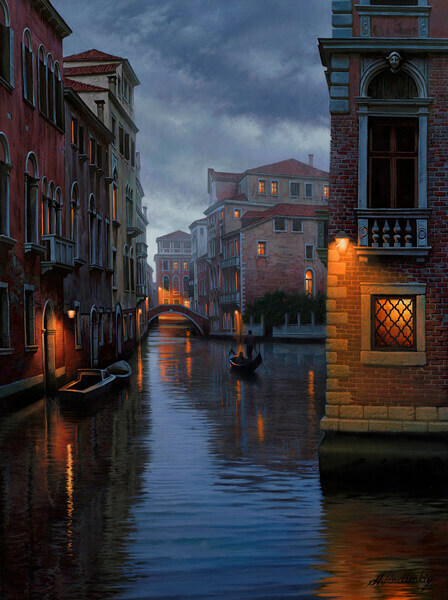 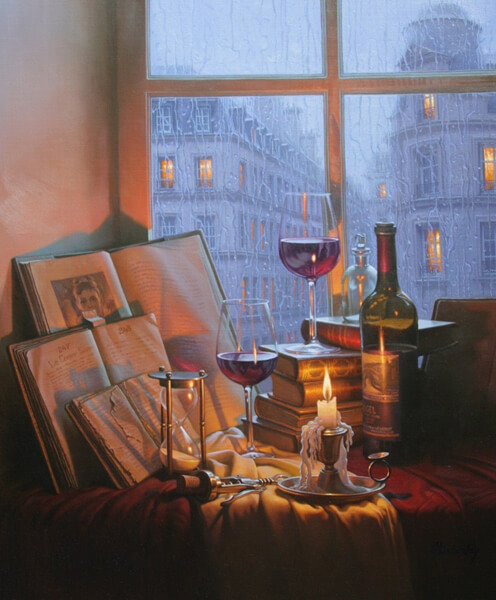 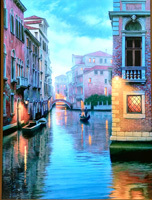 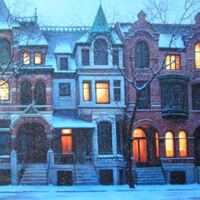 Alexei Butirskiy's ability to combine architecture, color and format is a refined skill normally reserved for artists much his senior. 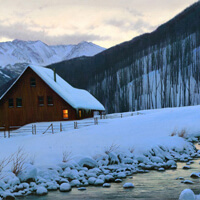 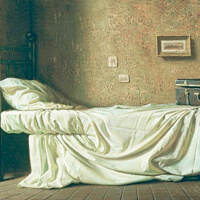 As a result, he ranks among Russia's top emerging artists. 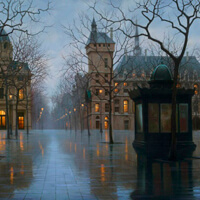 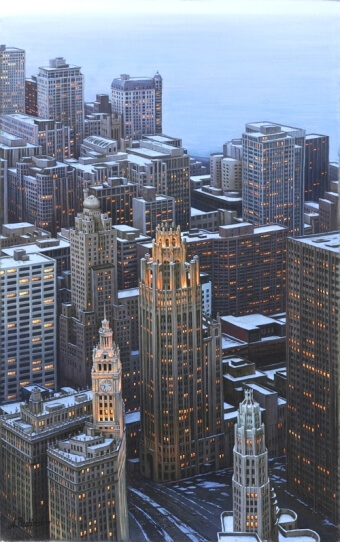 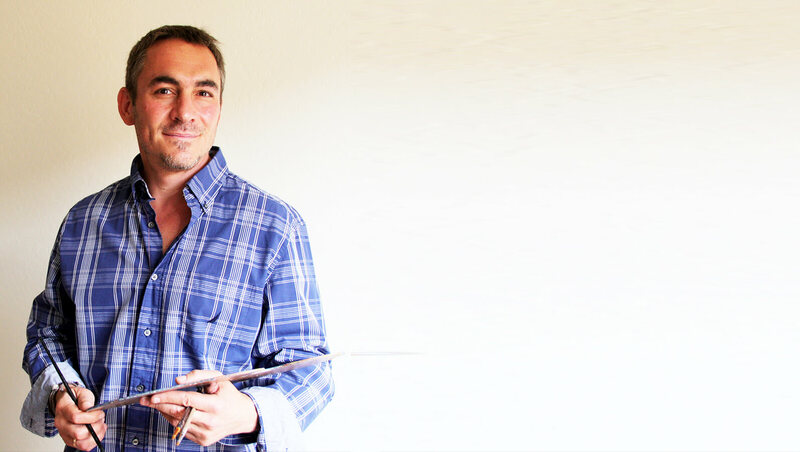 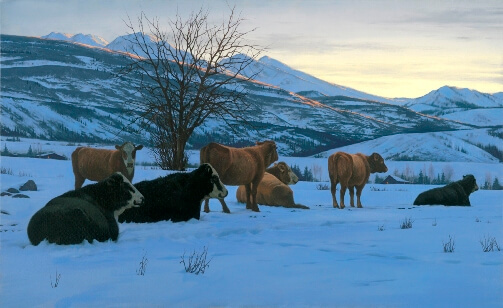 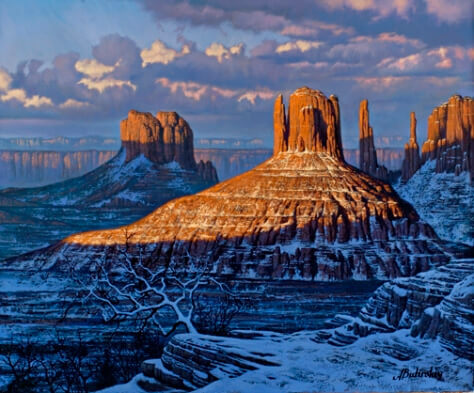 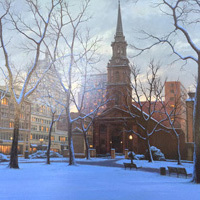 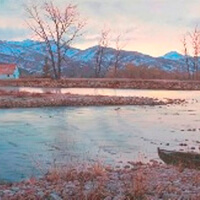 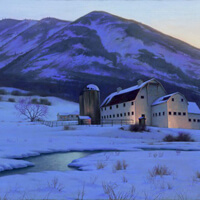 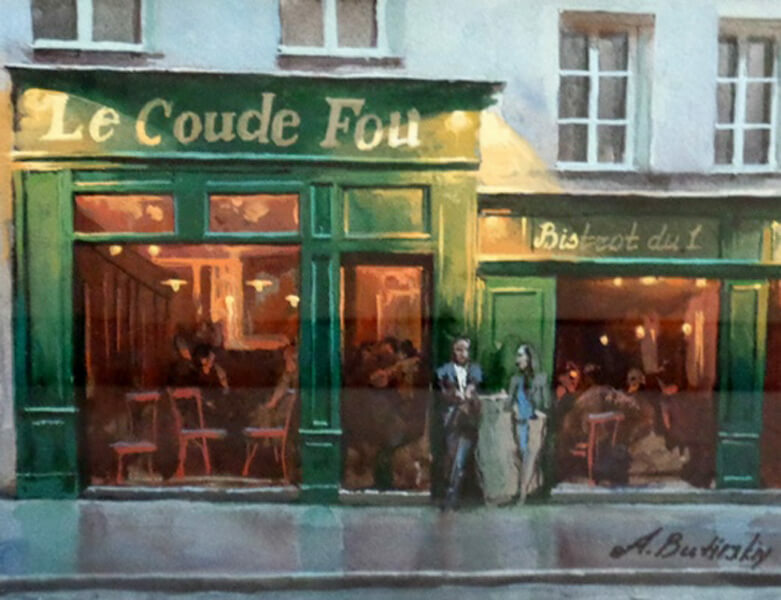 His work has been successfully exhibited in galleries and private collections through France, England, Austria, Germany, Switzerland, Russia and the United States.